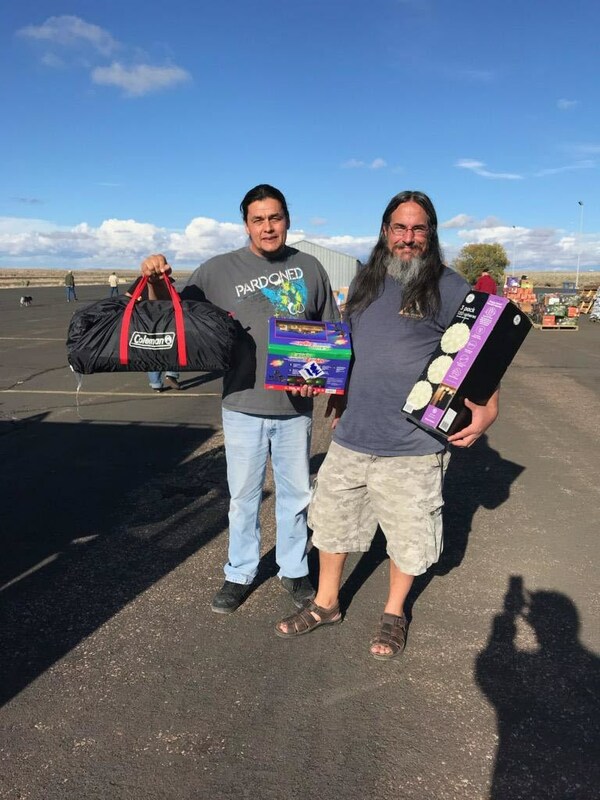 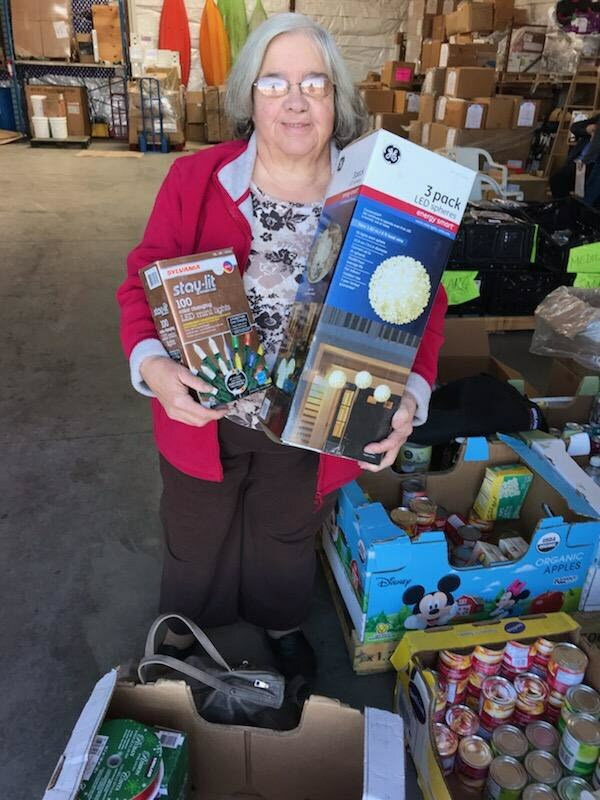 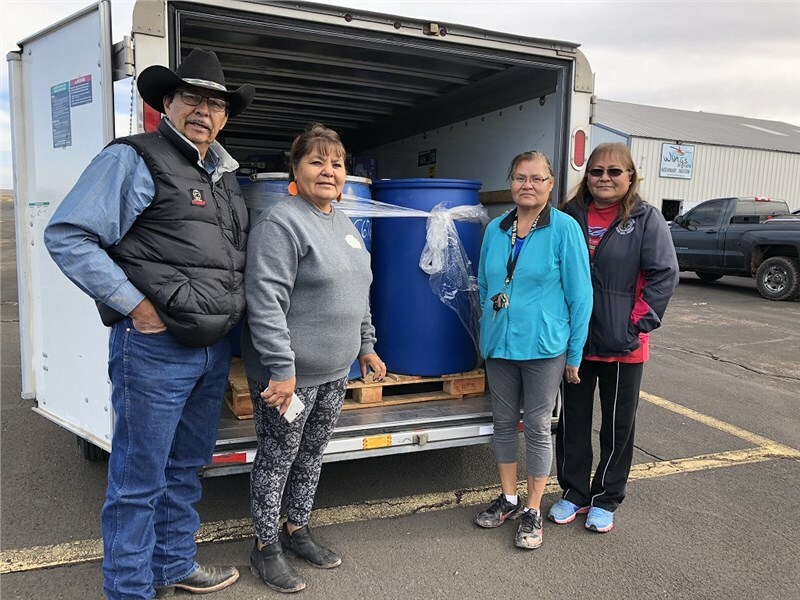 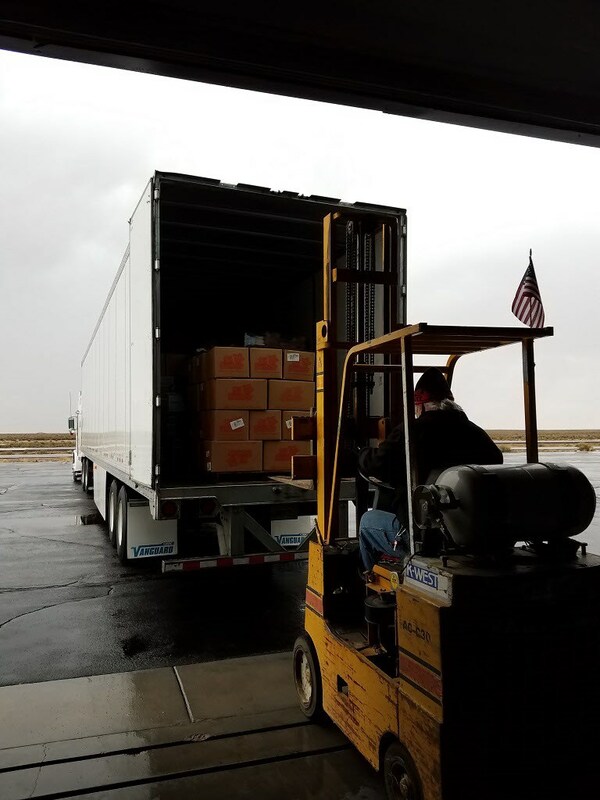 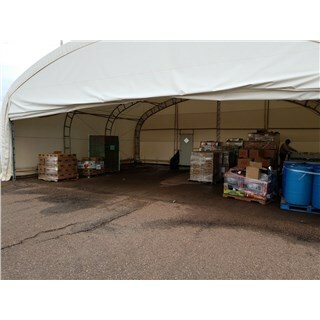 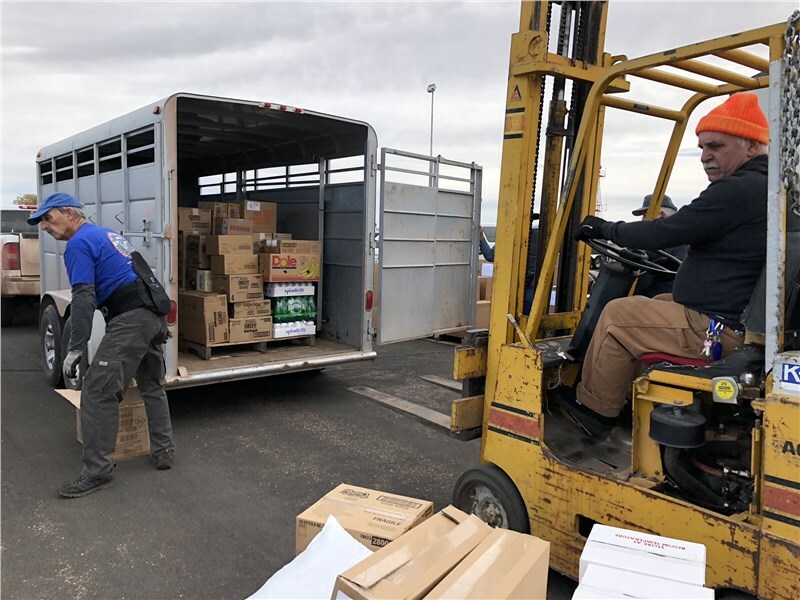 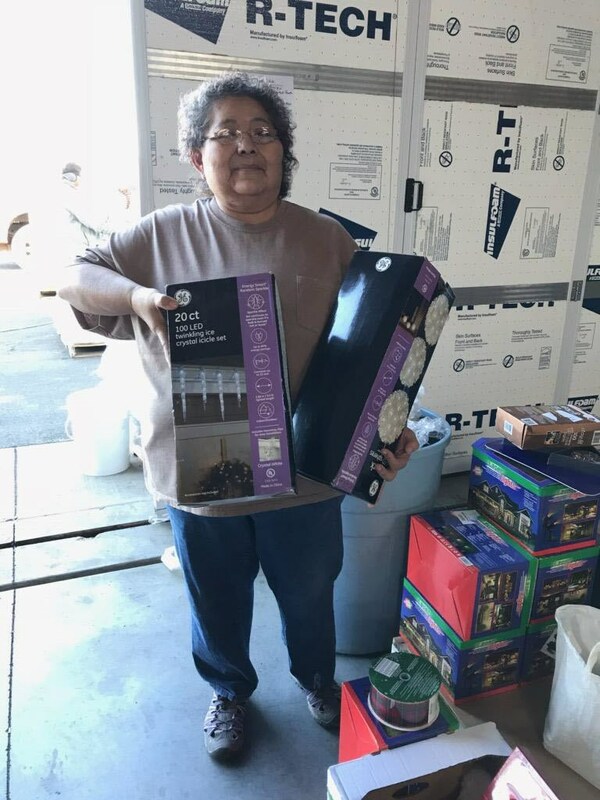 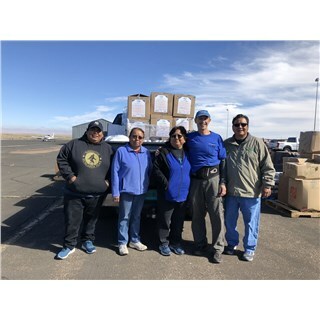 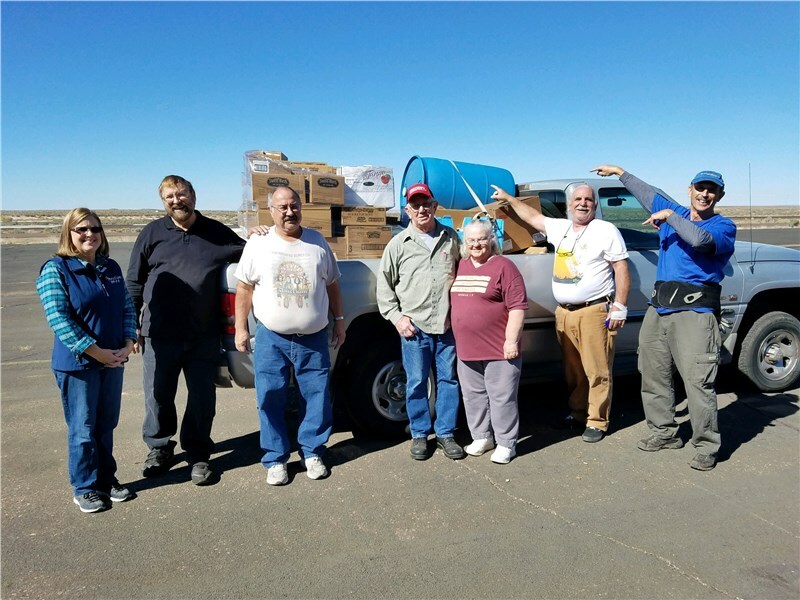 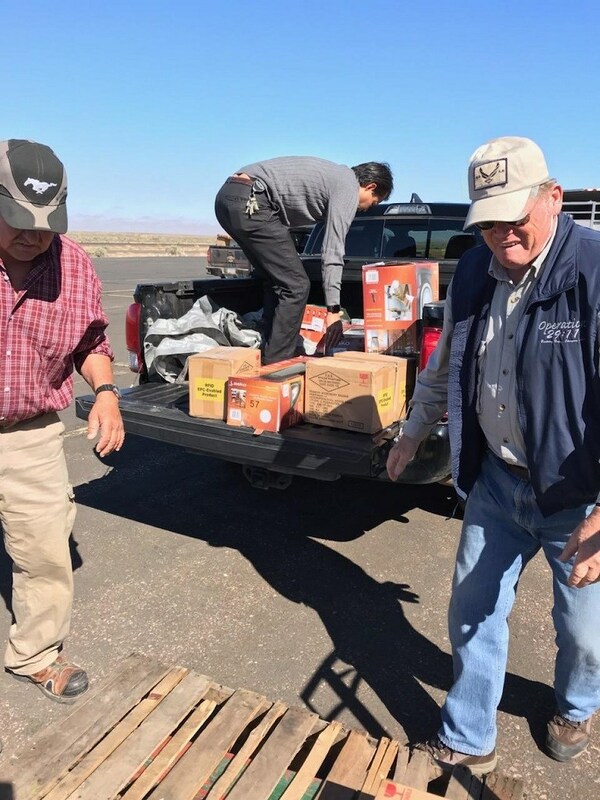 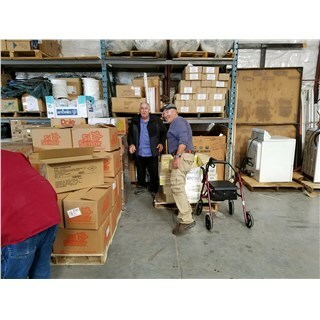 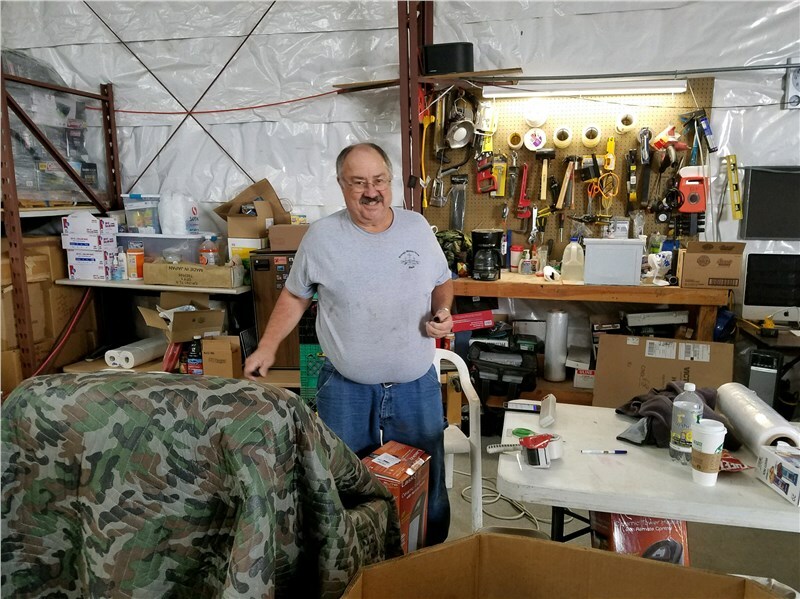 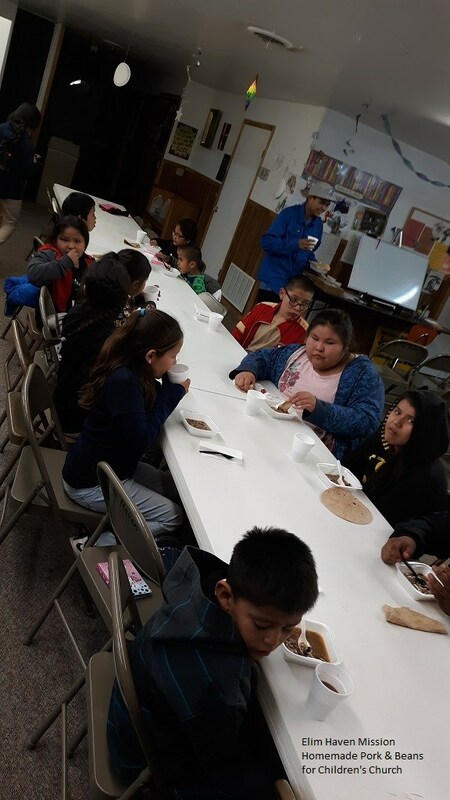 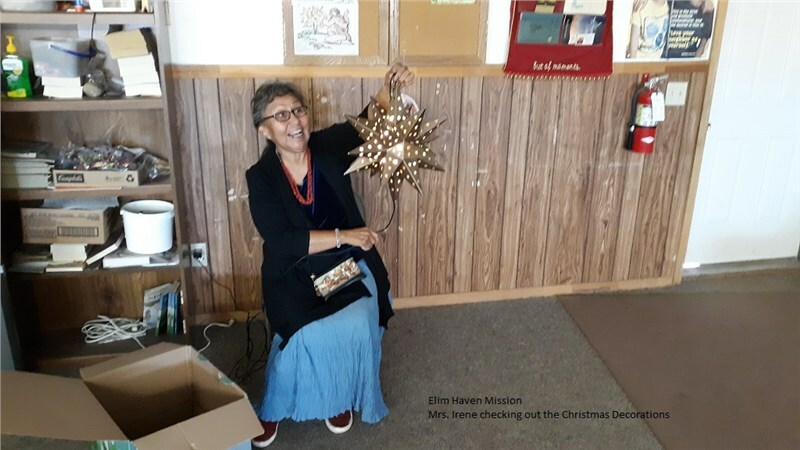 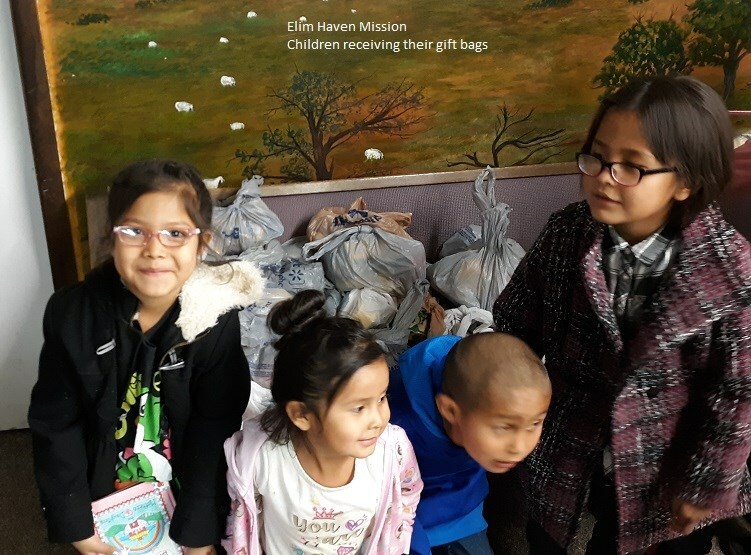 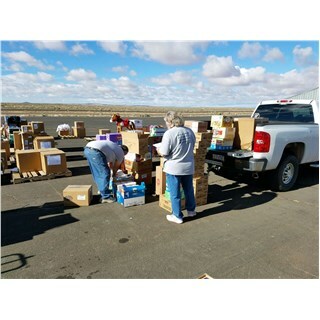 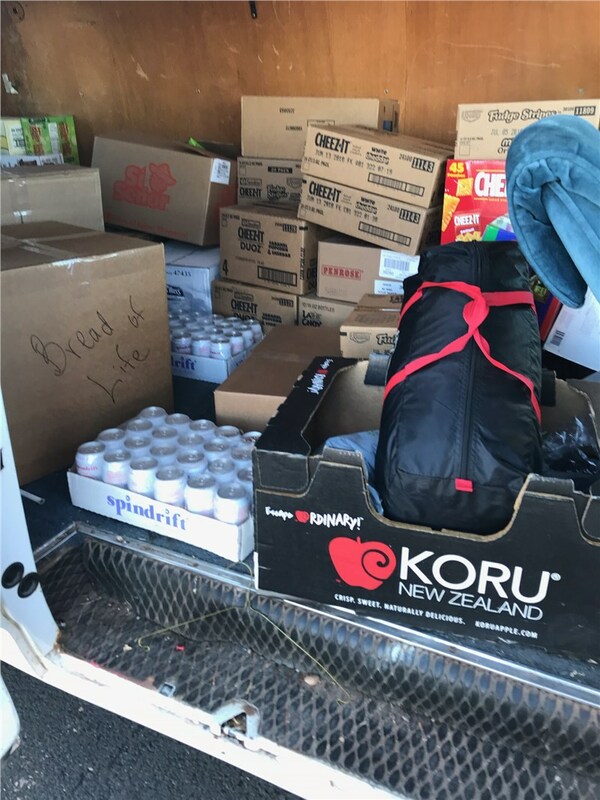 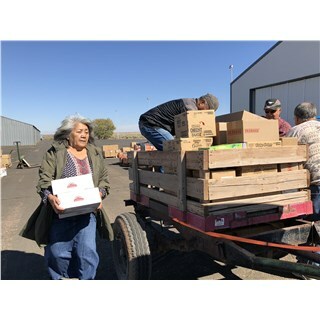 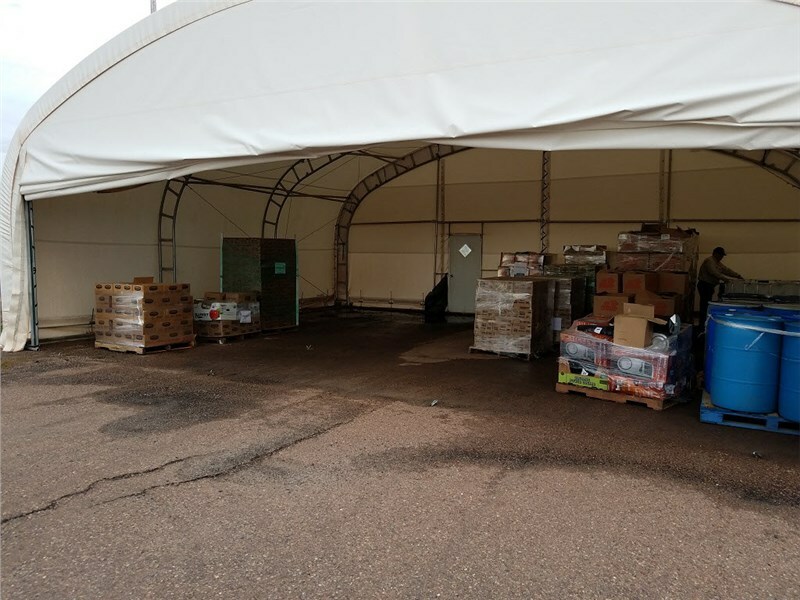 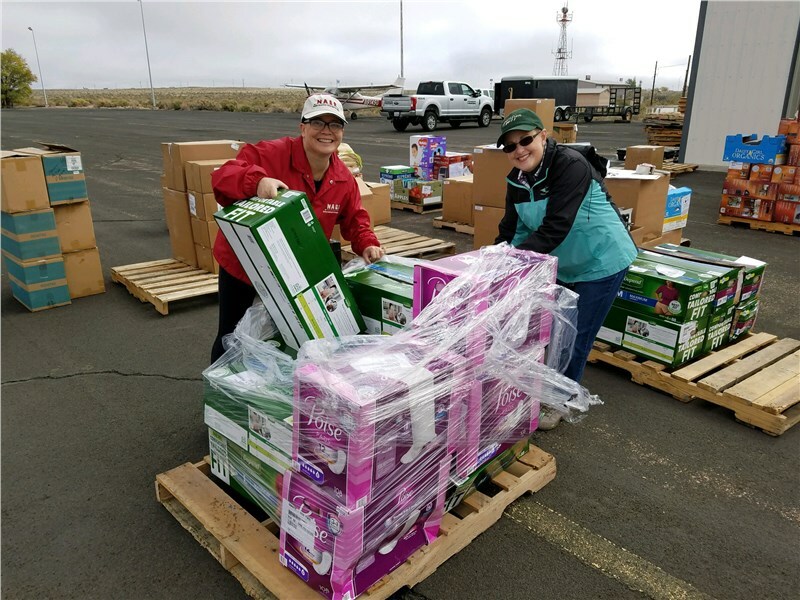 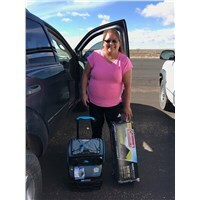 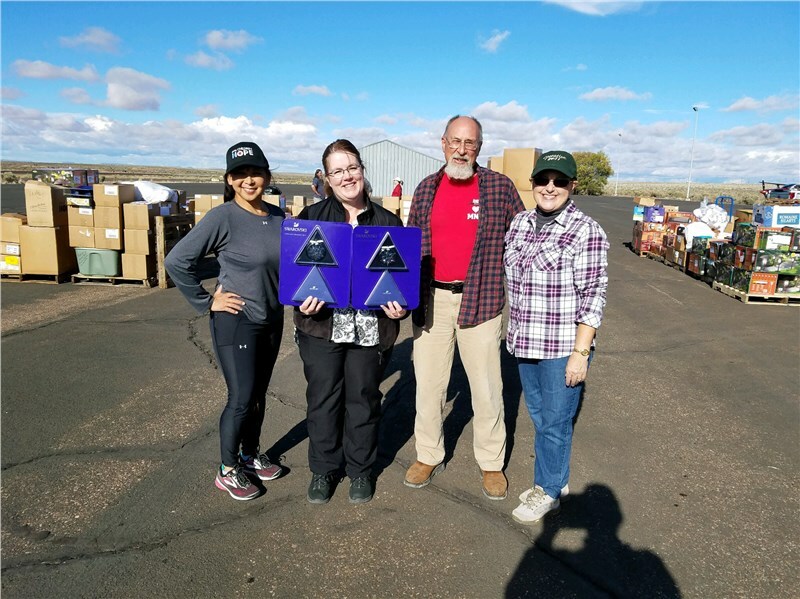 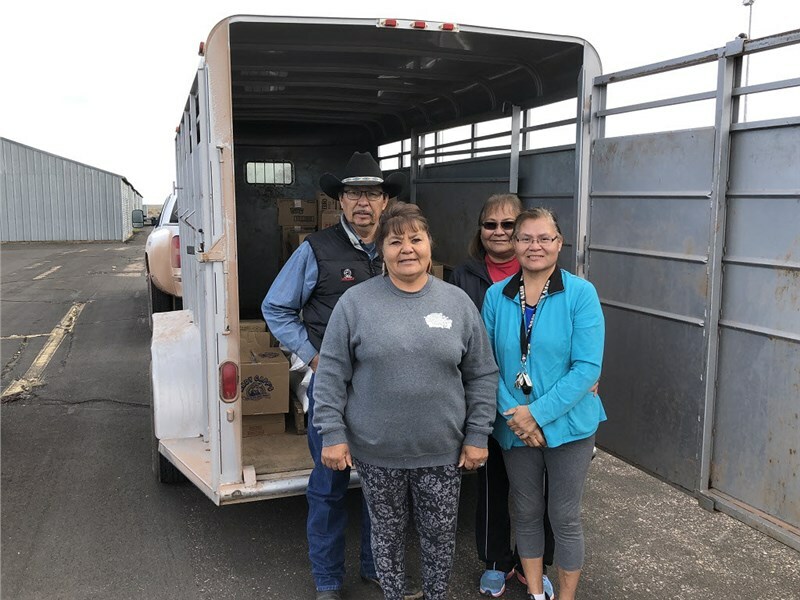 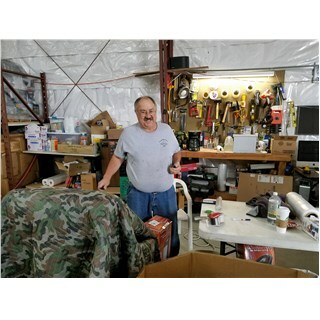 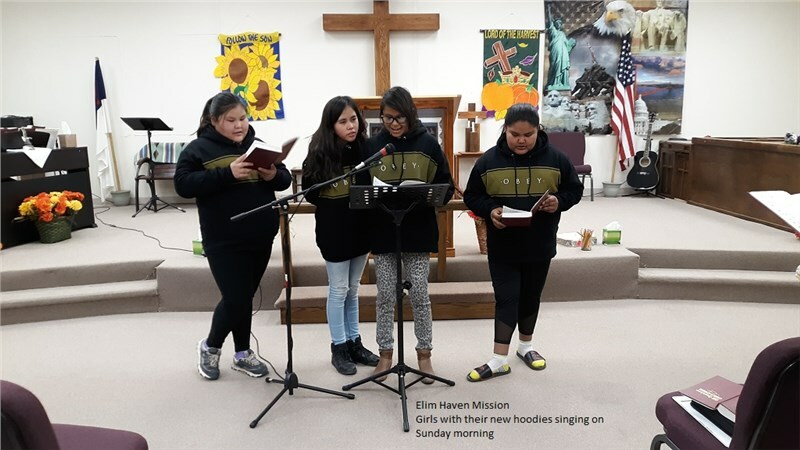 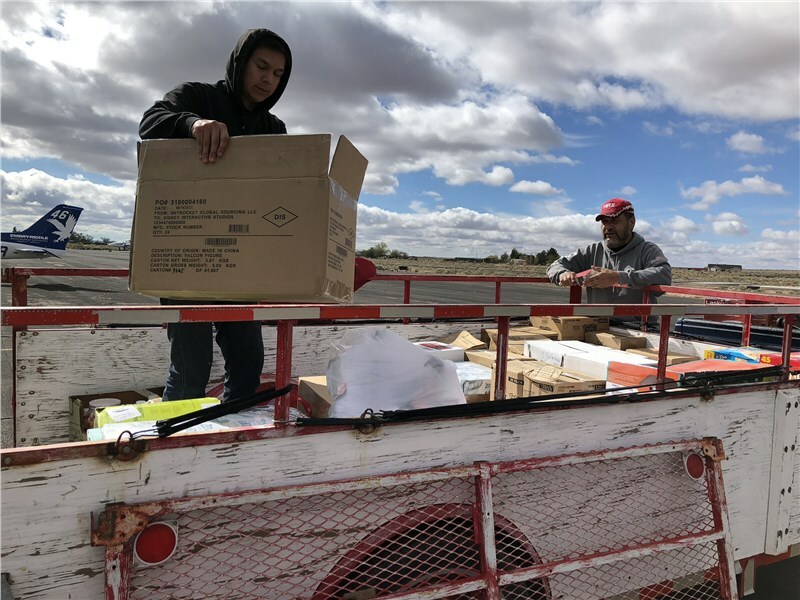 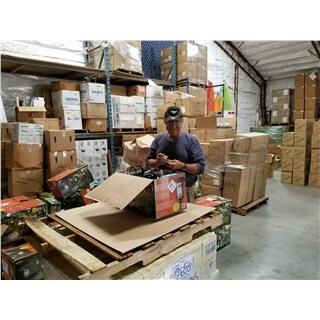 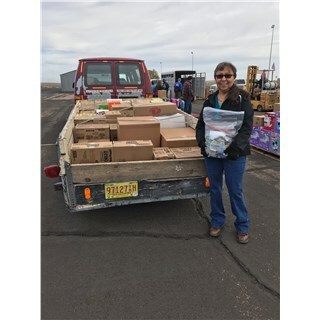 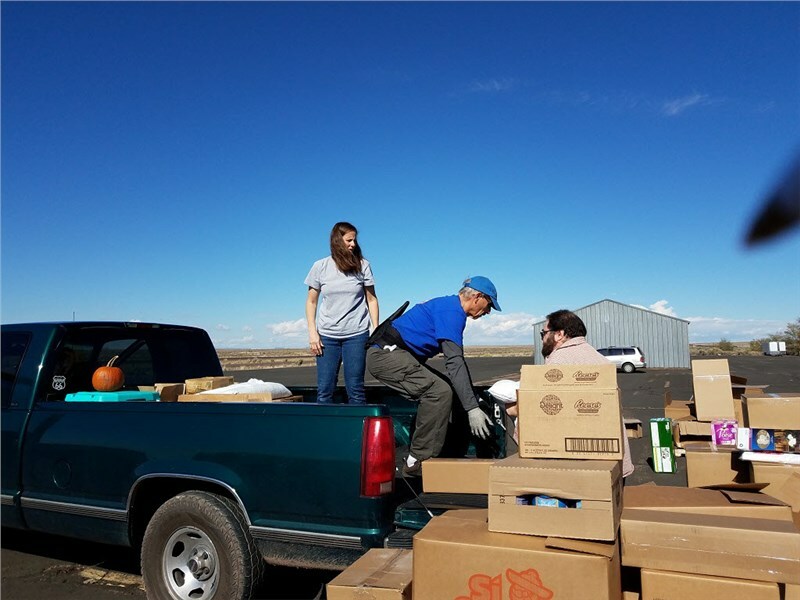 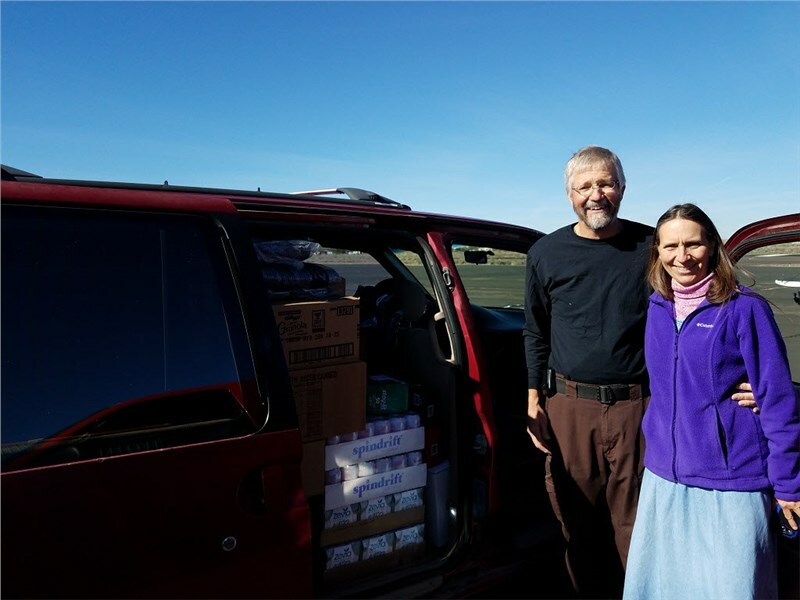 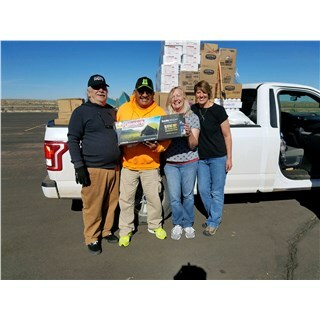 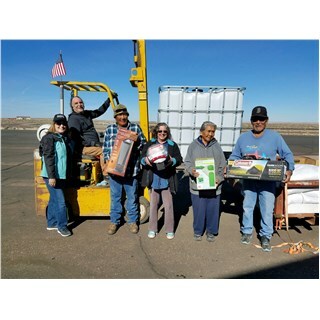 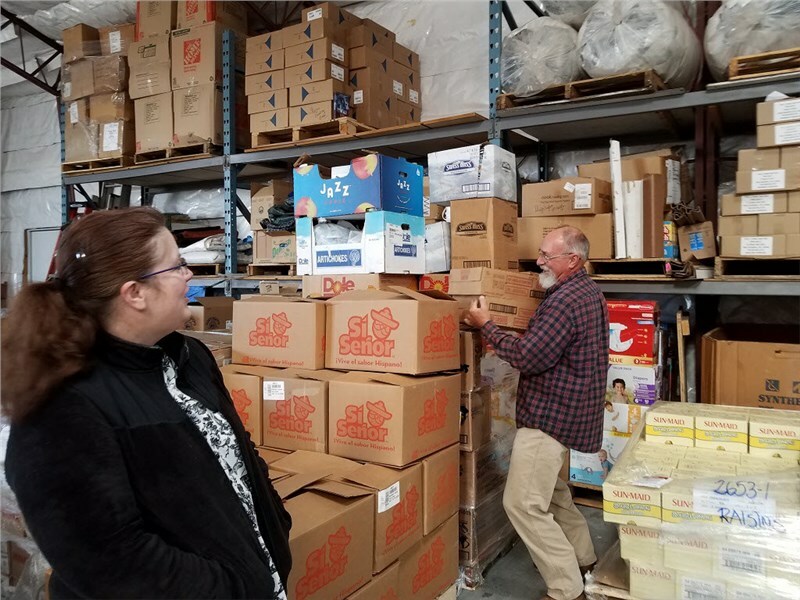 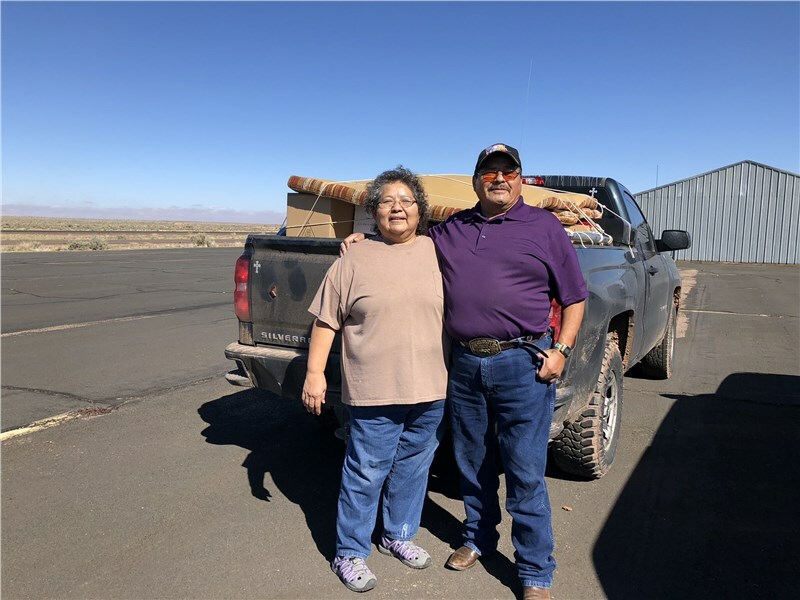 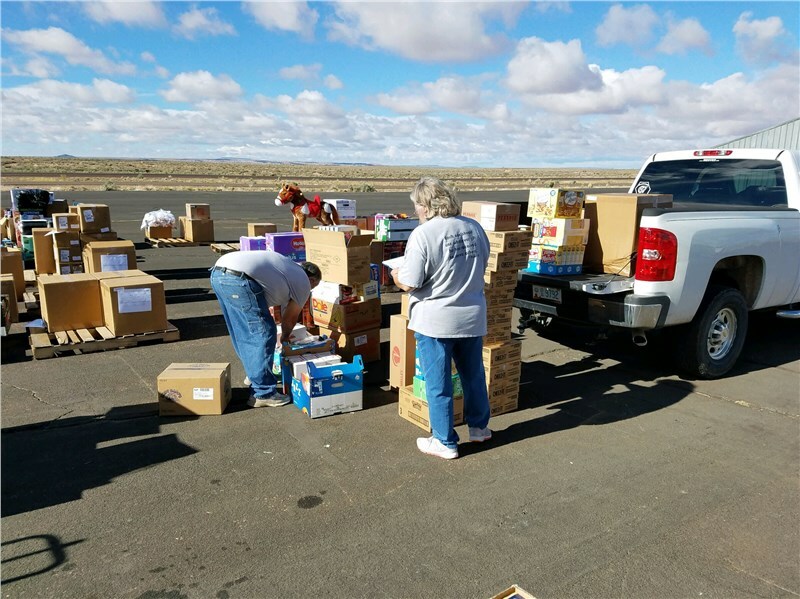 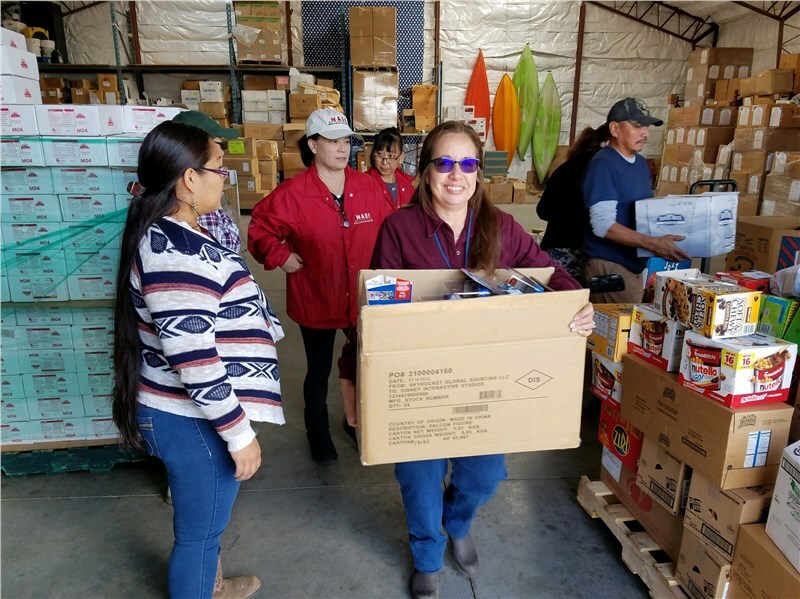 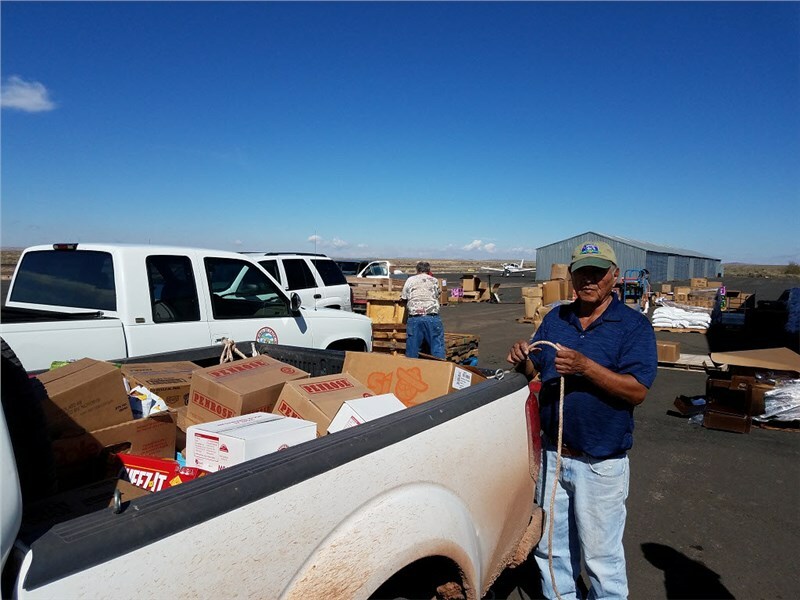 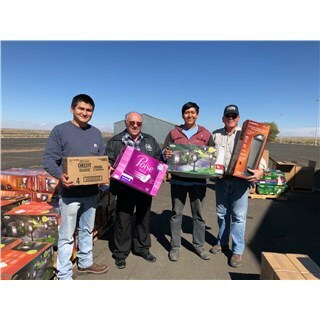 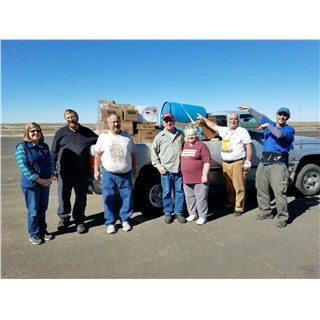 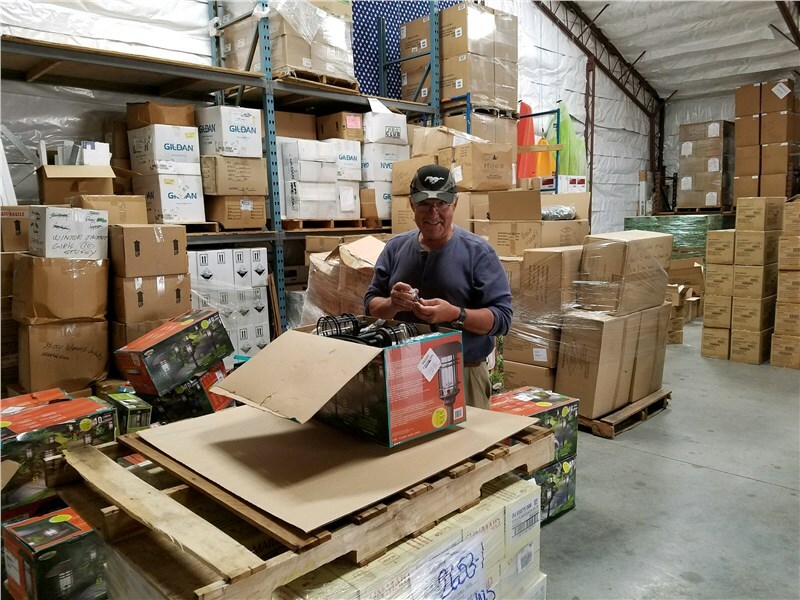 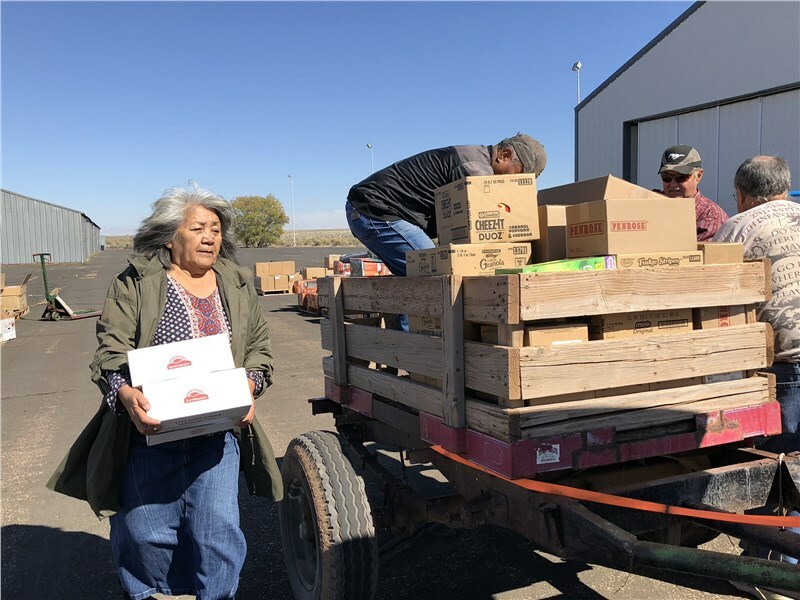 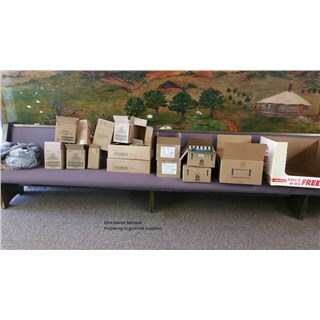 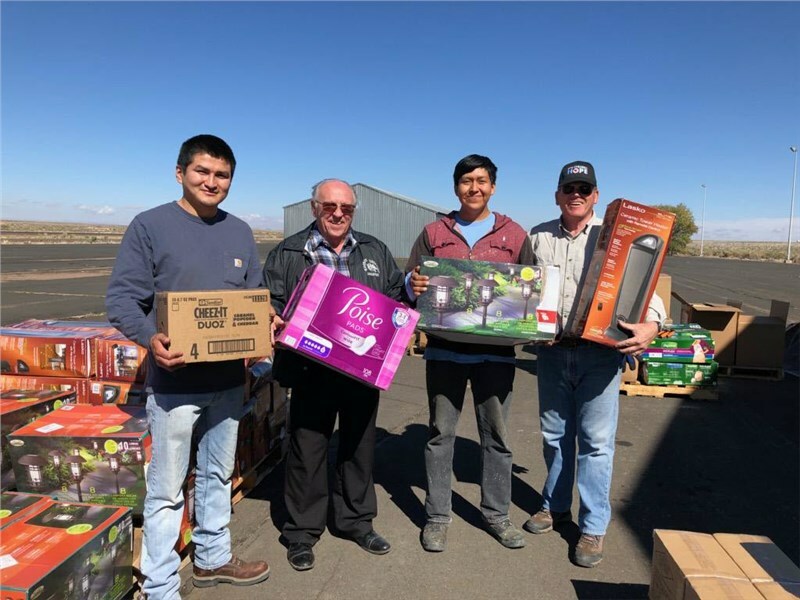 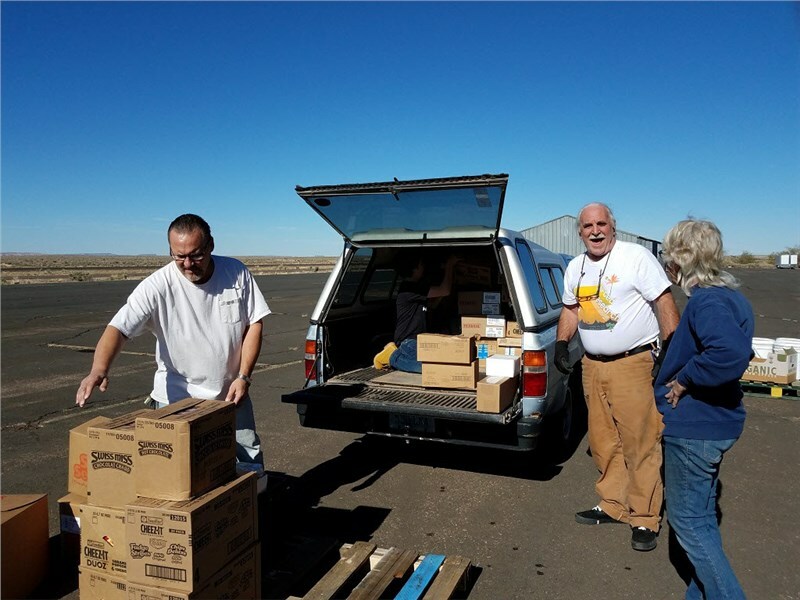 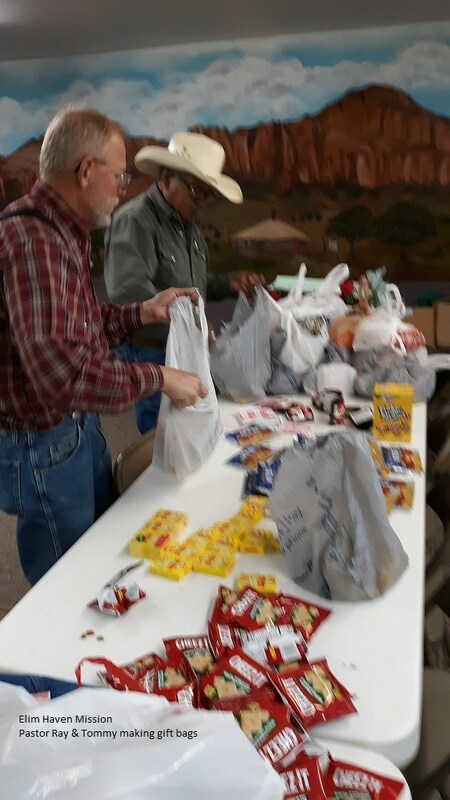 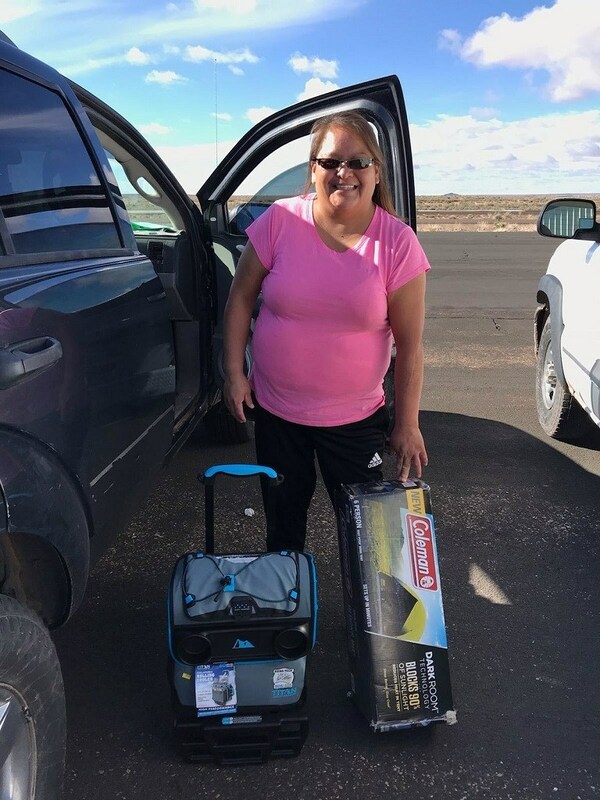 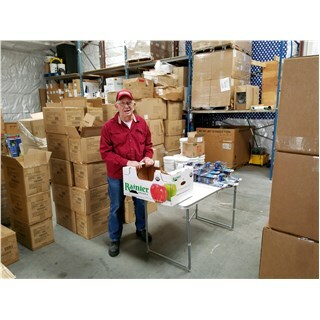 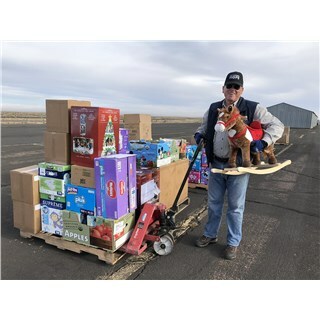 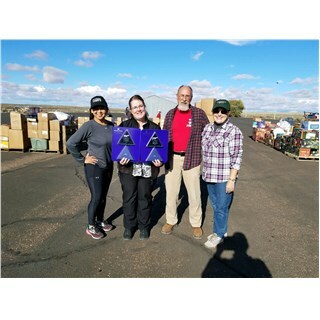 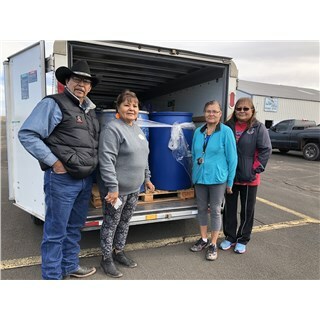 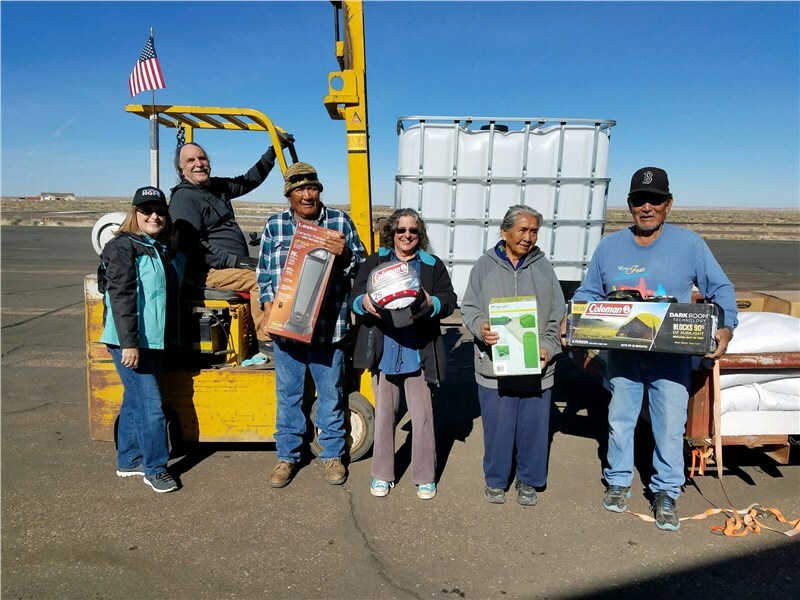 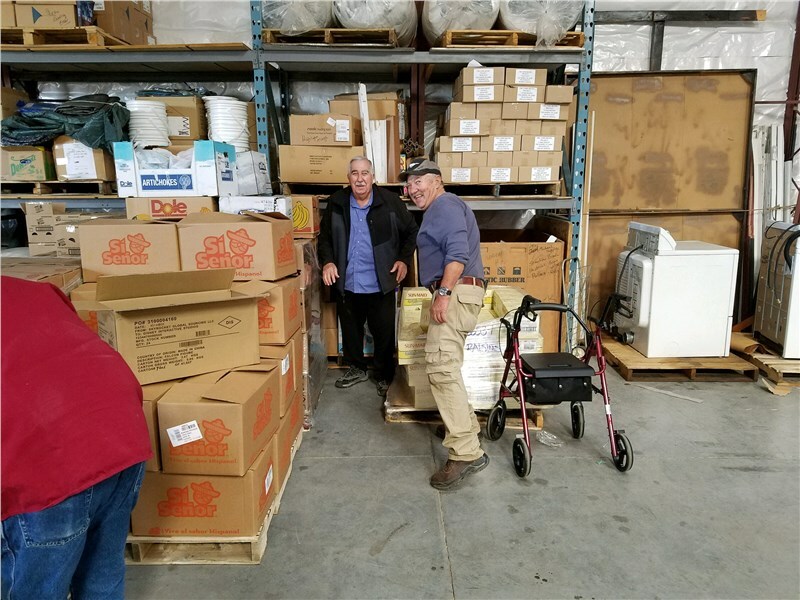 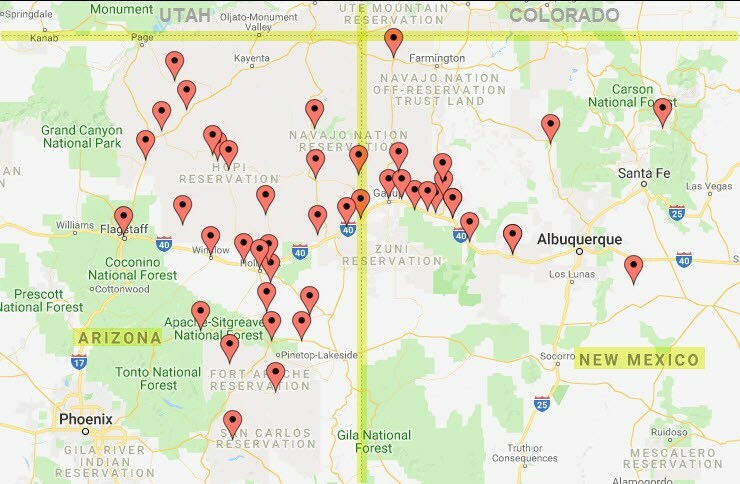 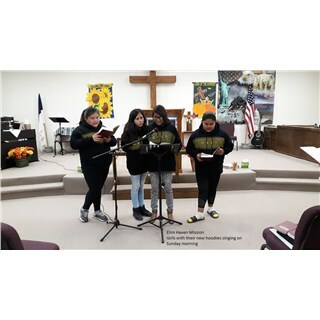 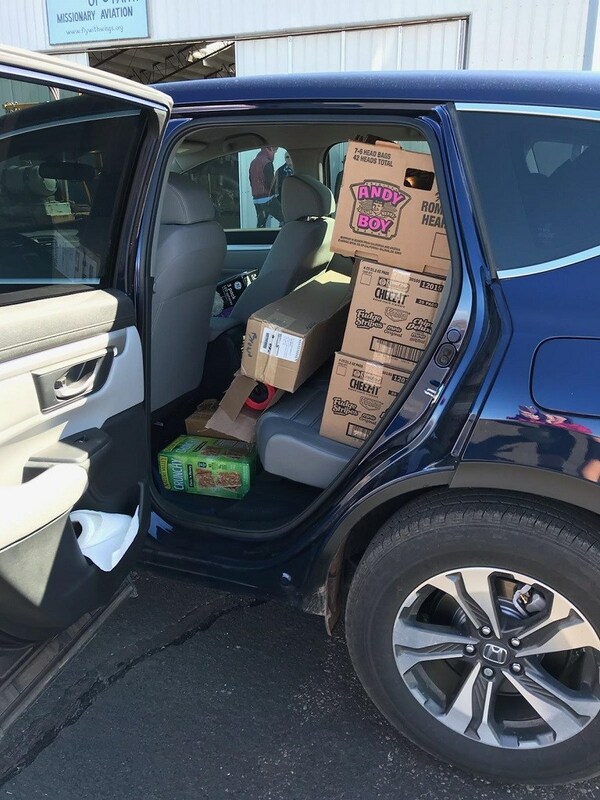 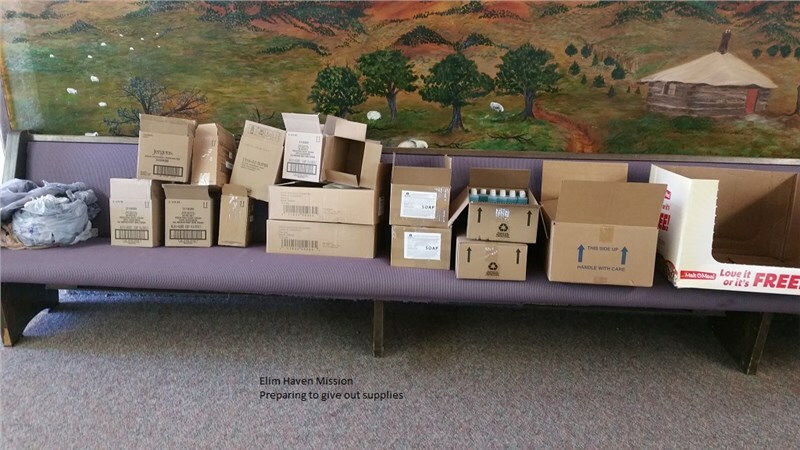 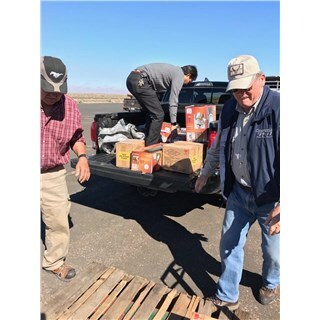 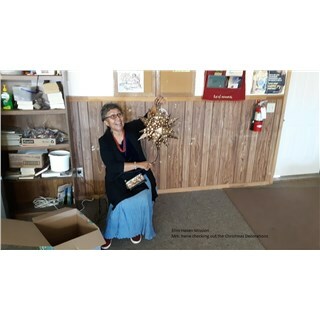 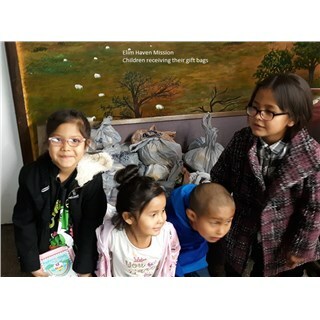 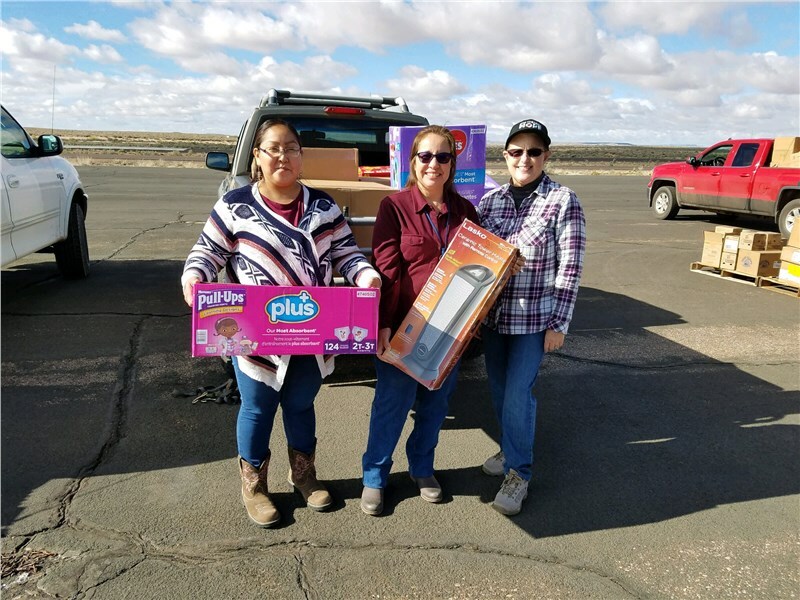 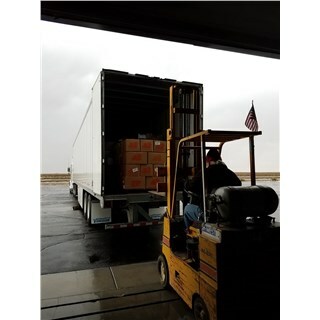 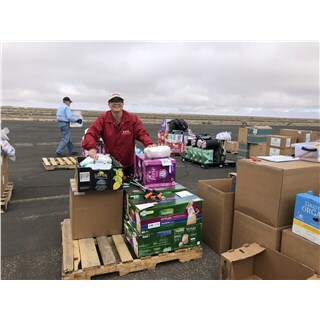 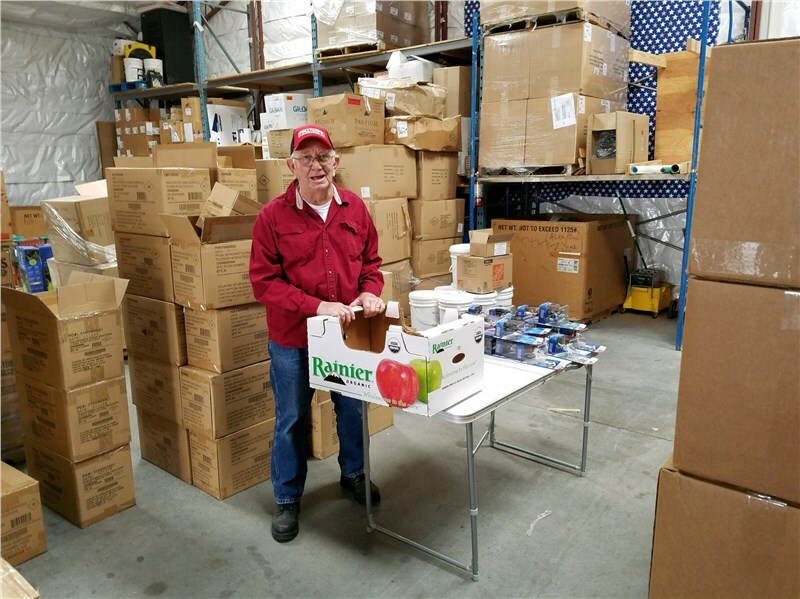 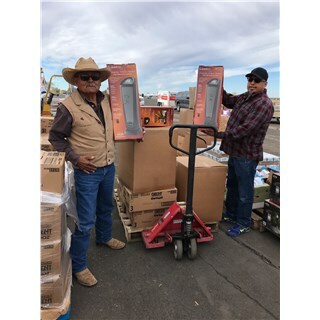 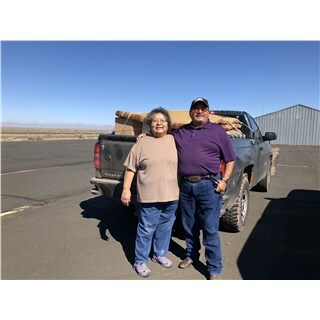 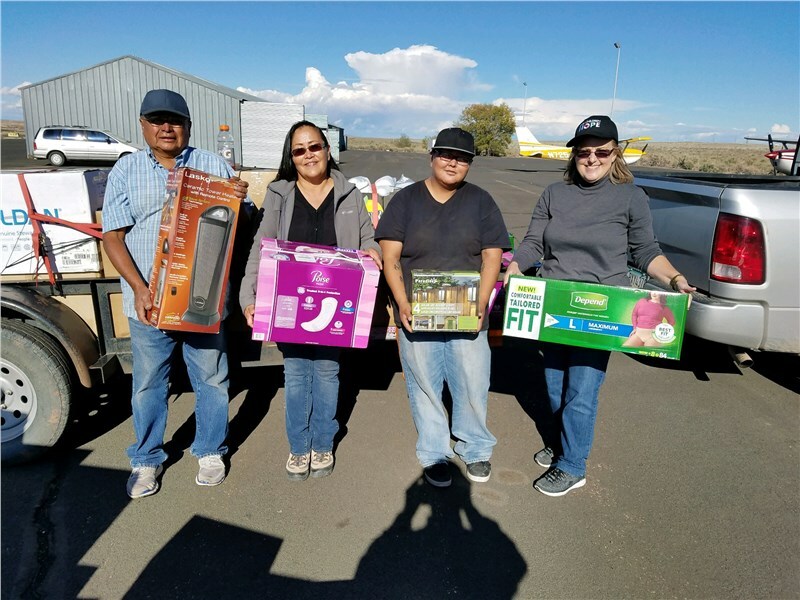 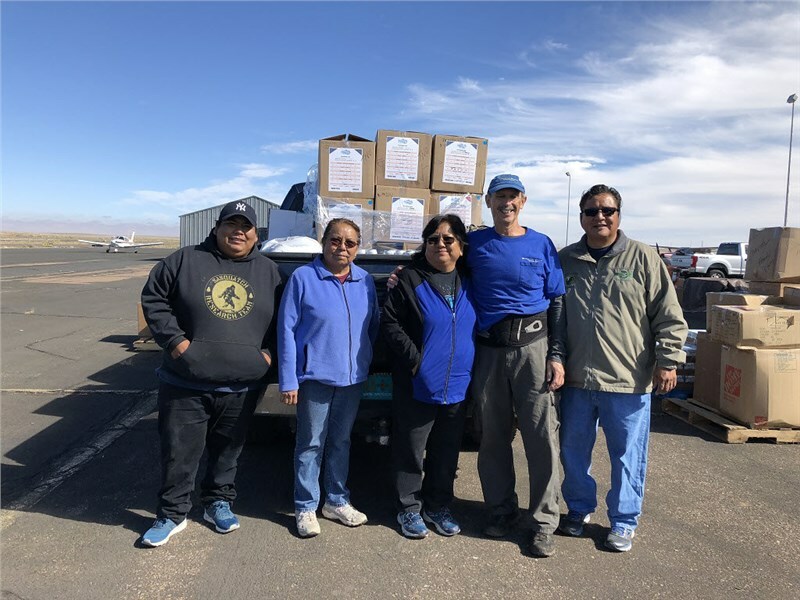 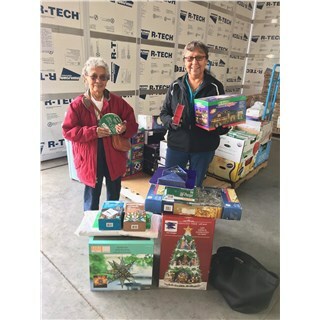 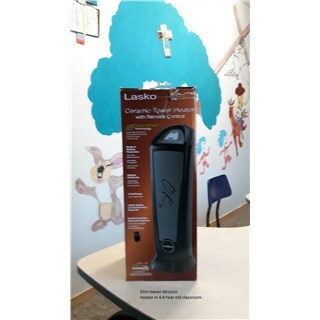 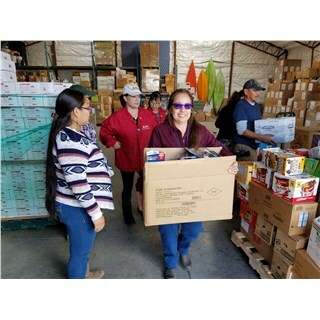 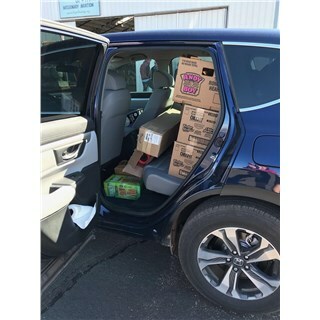 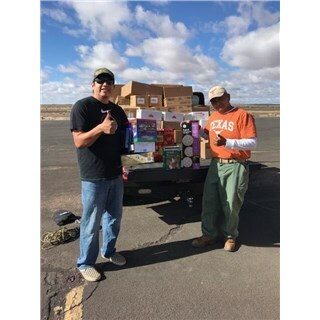 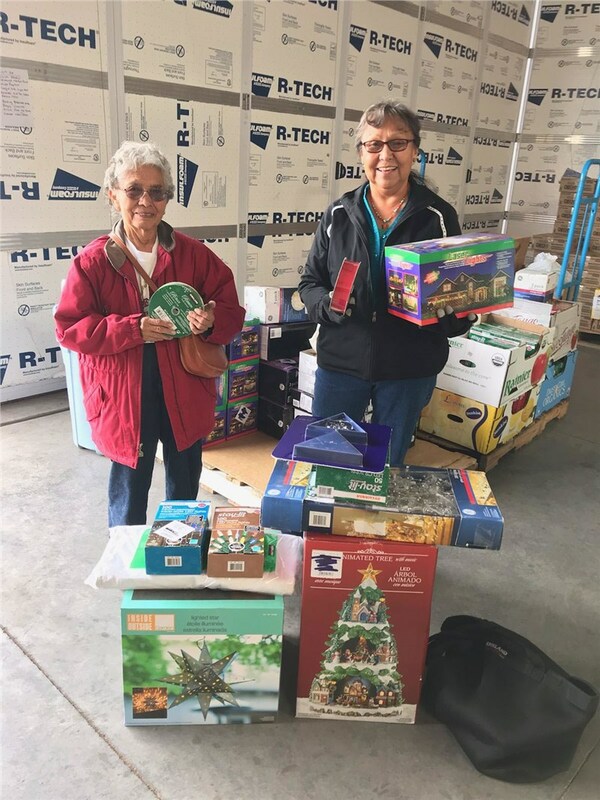 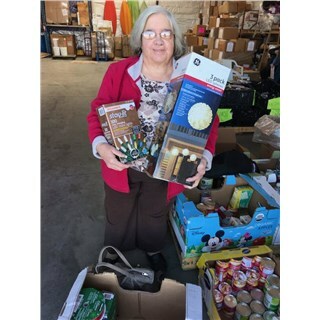 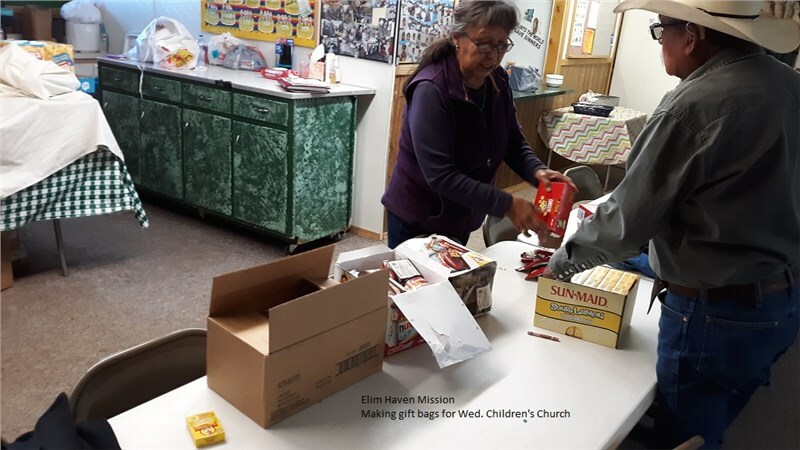 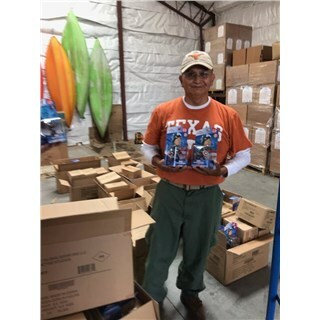 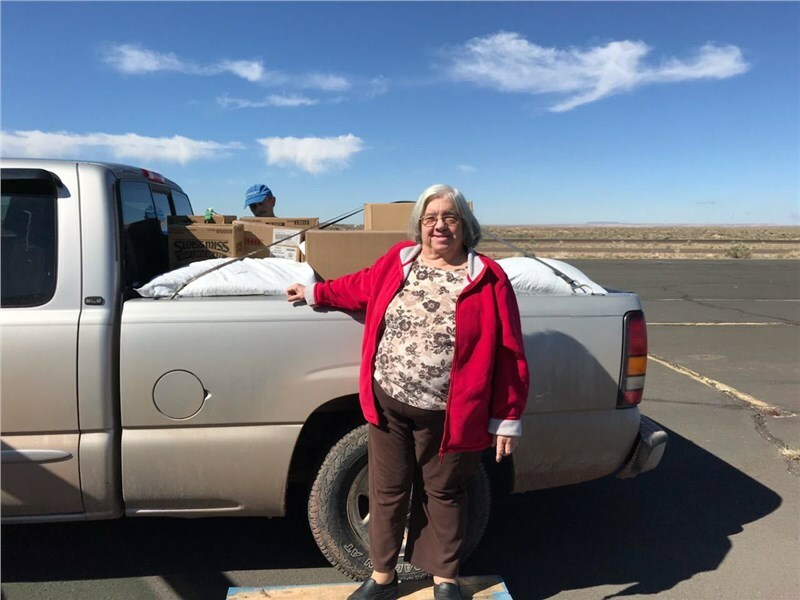 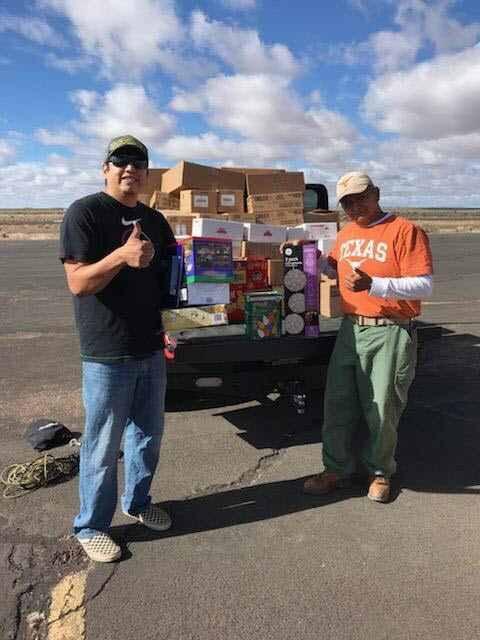 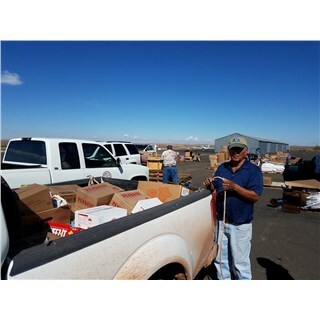 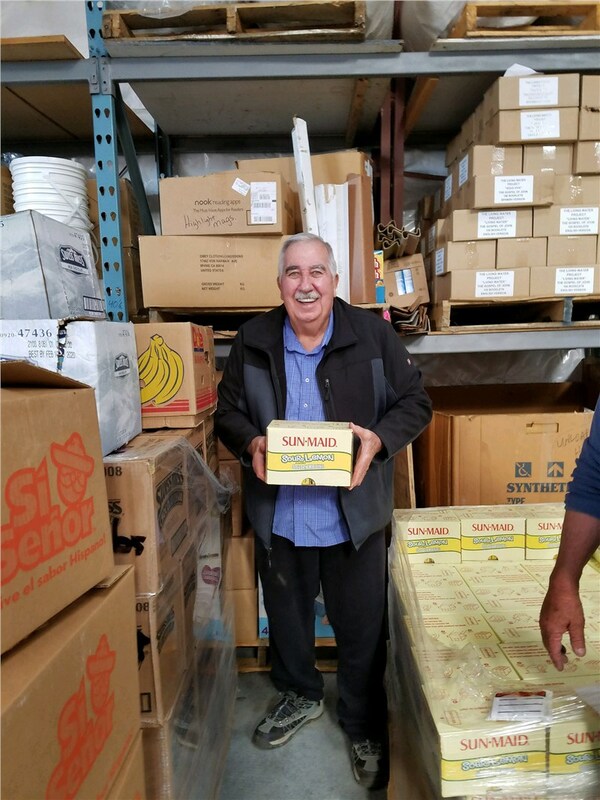 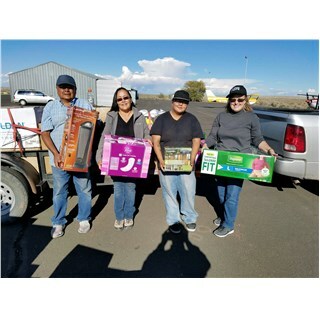 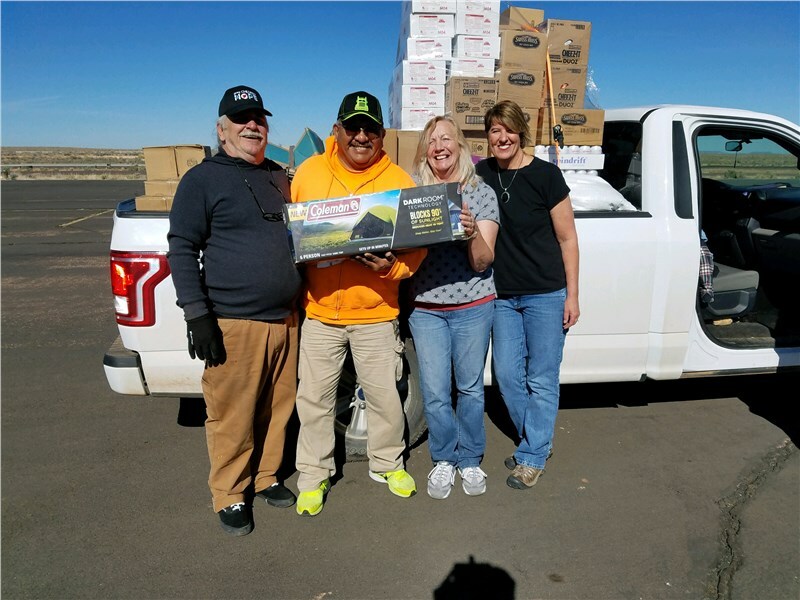 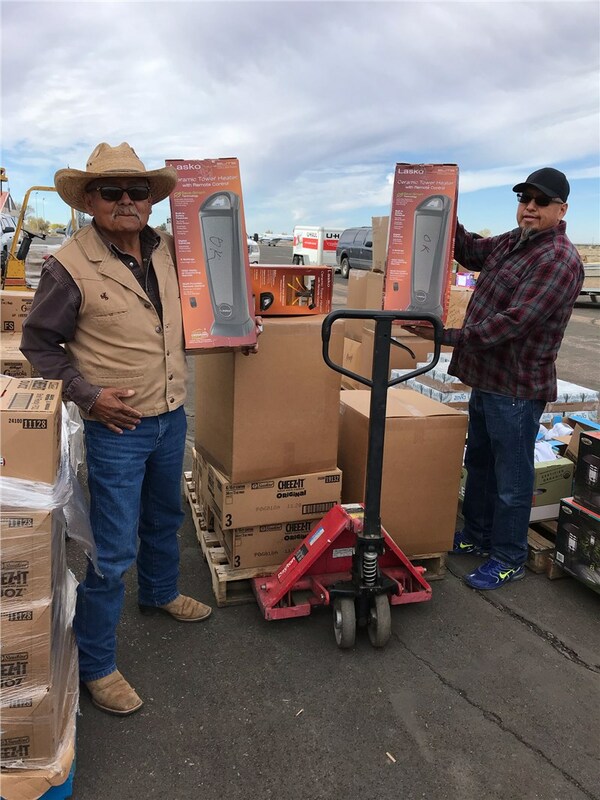 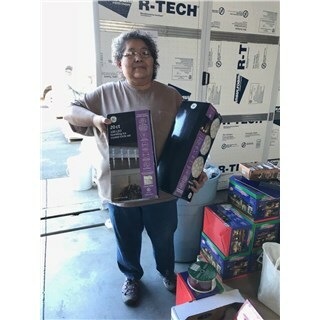 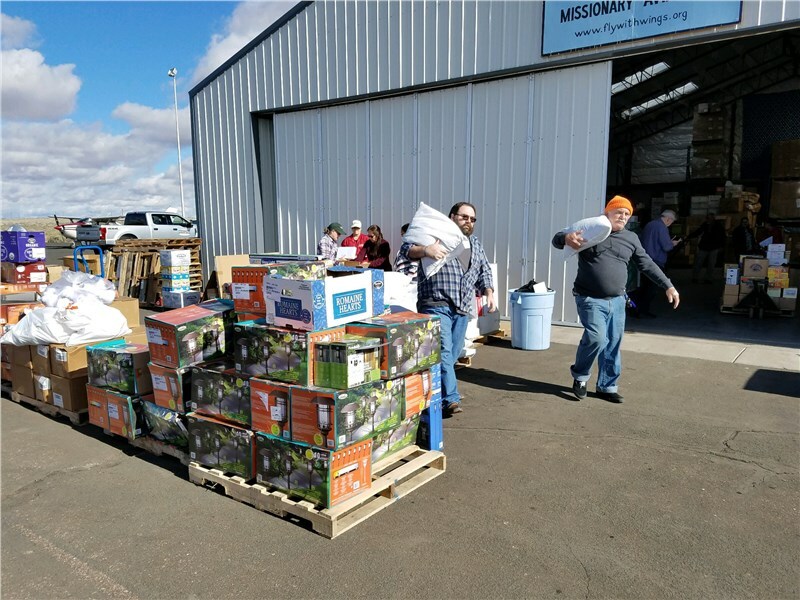 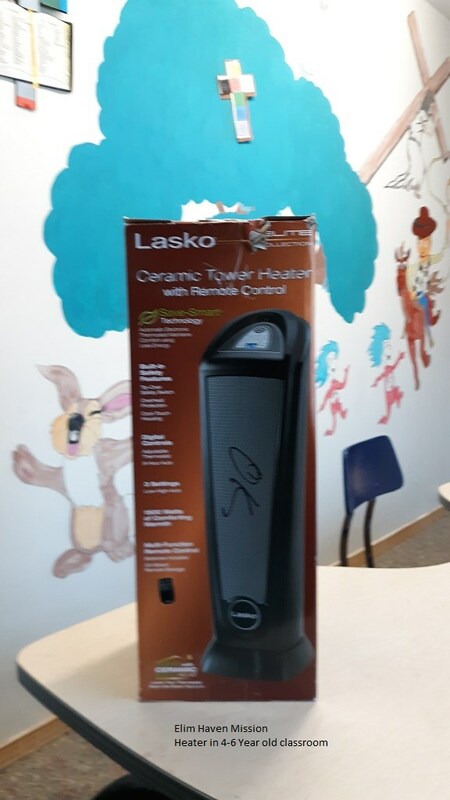 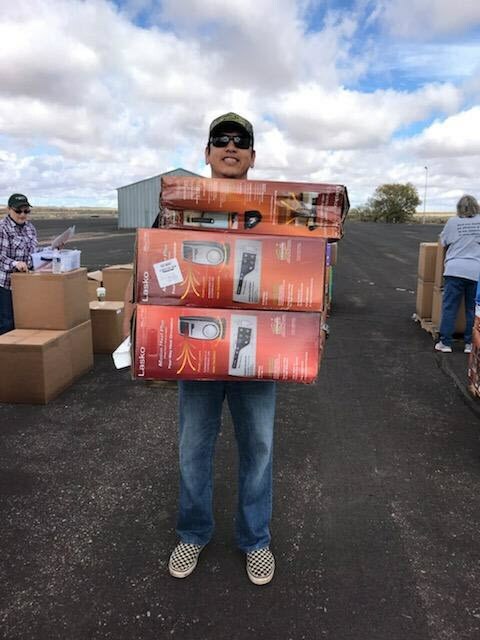 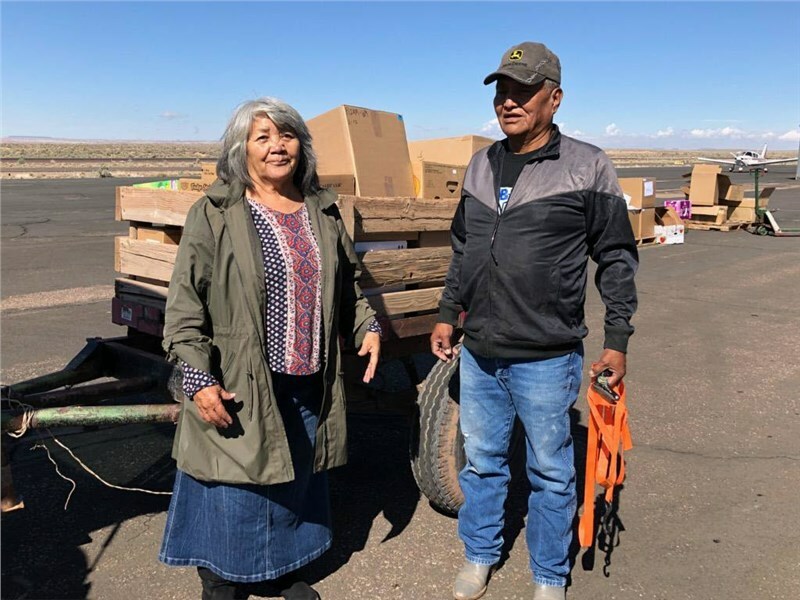 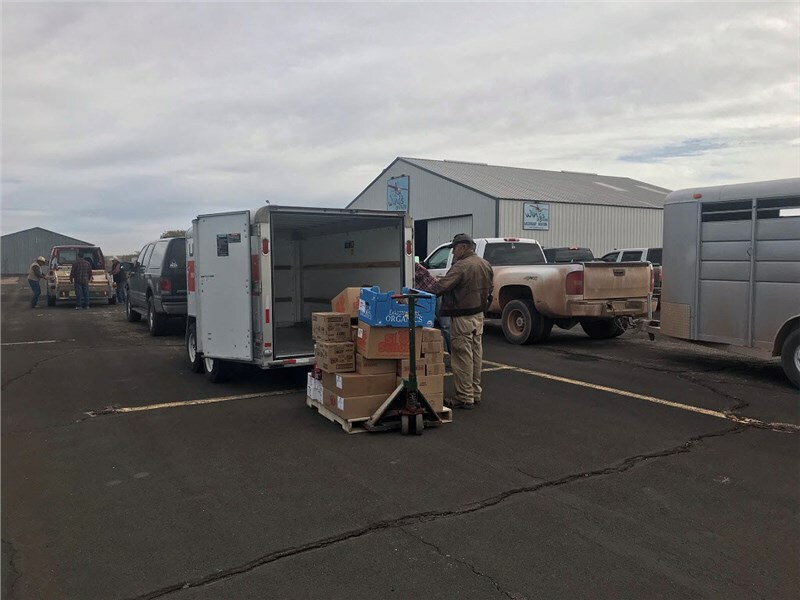 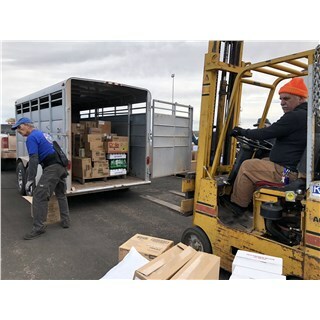 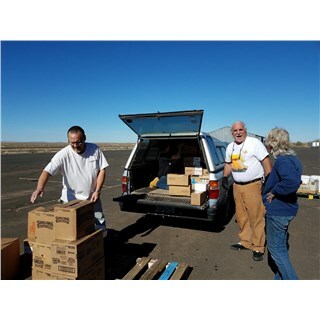 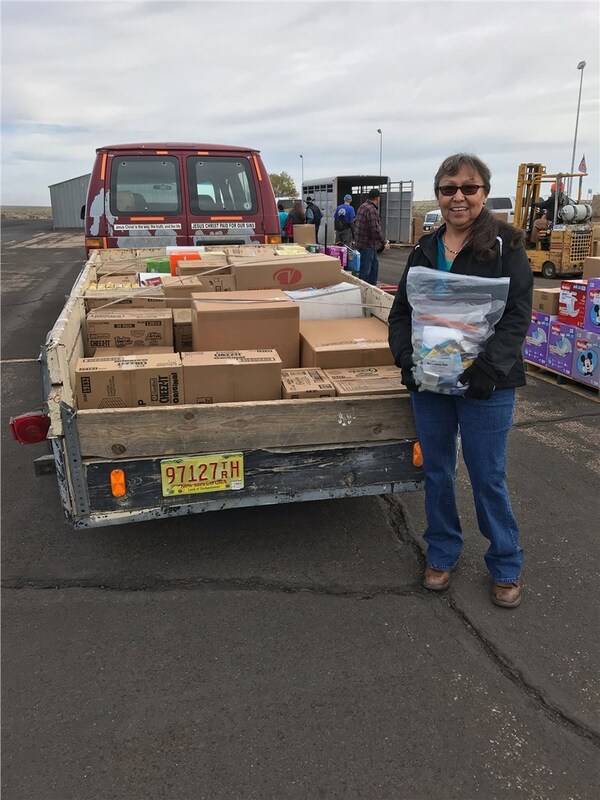 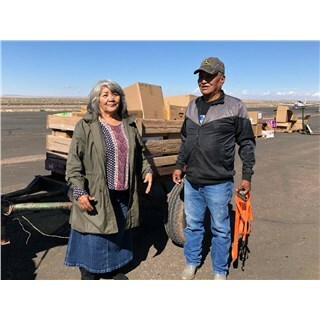 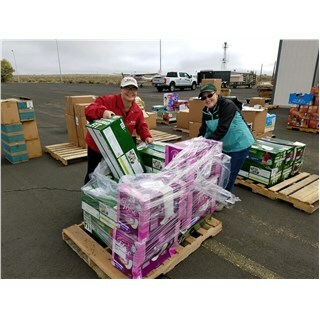 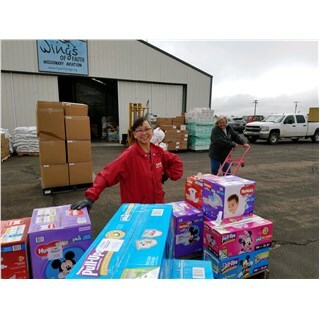 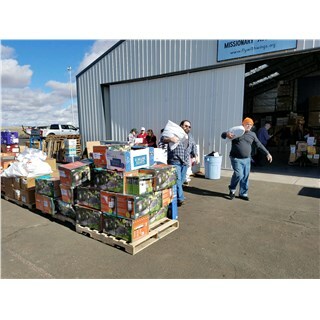 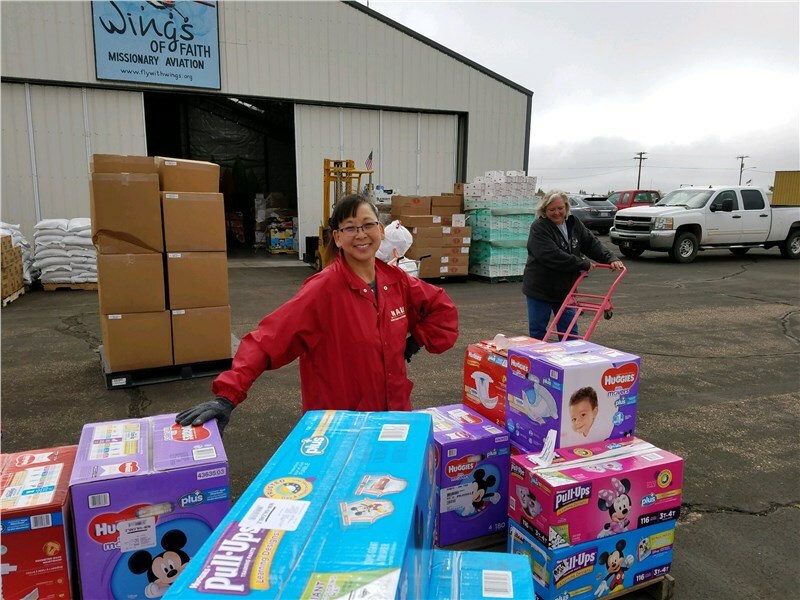 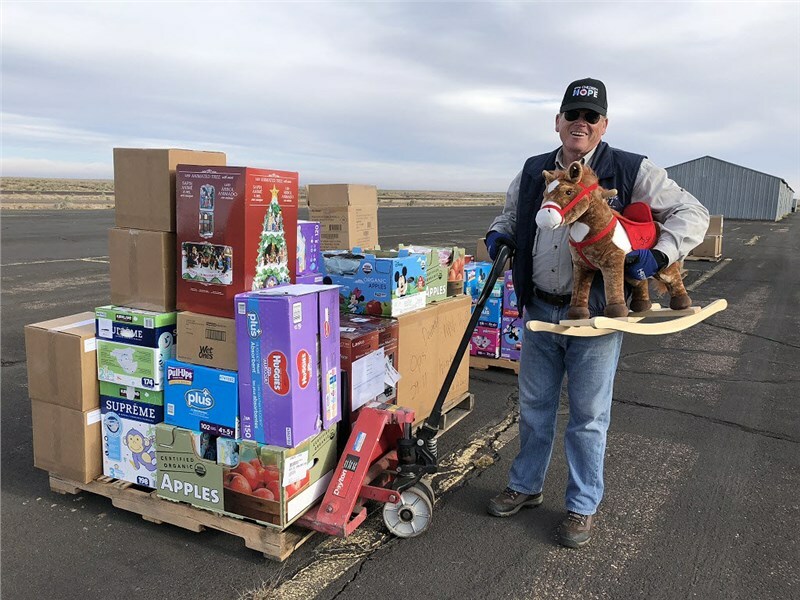 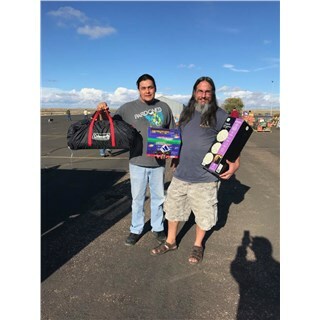 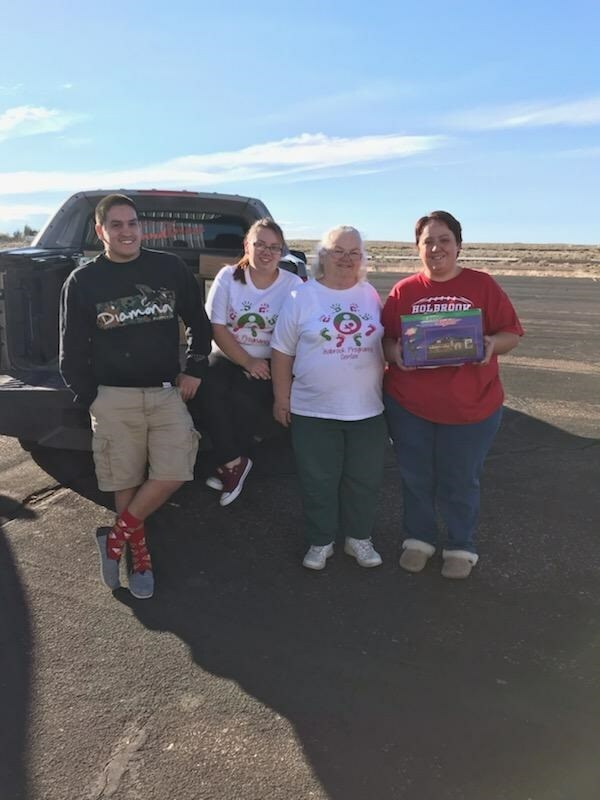 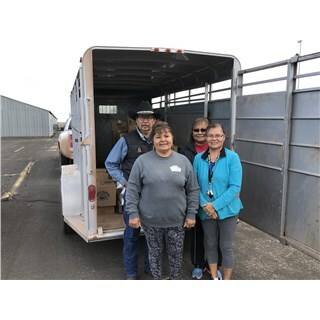 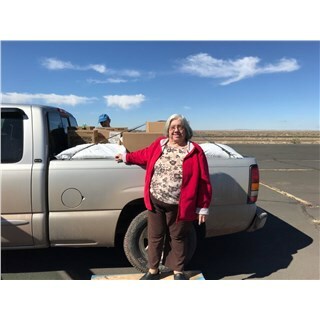 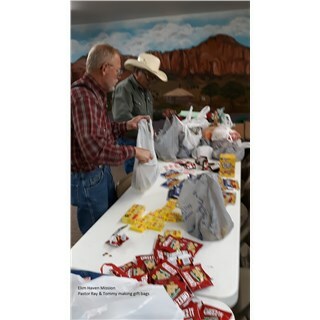 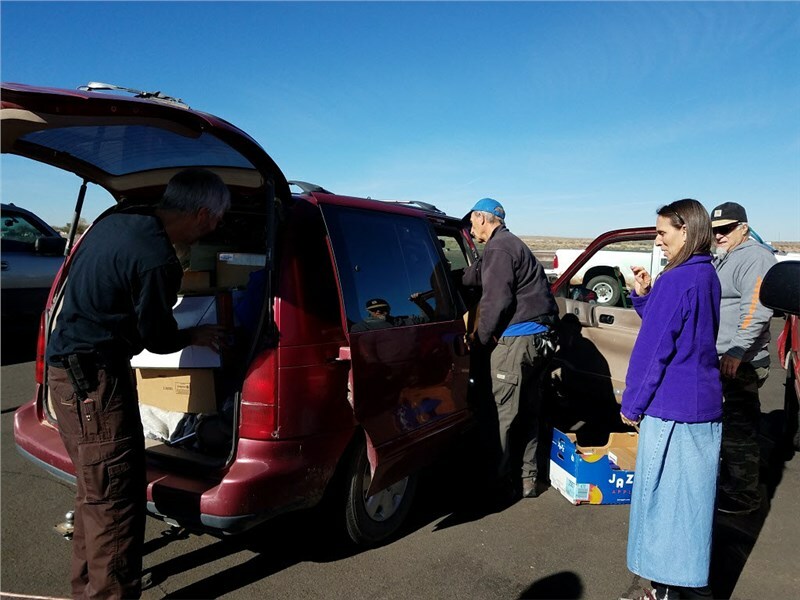 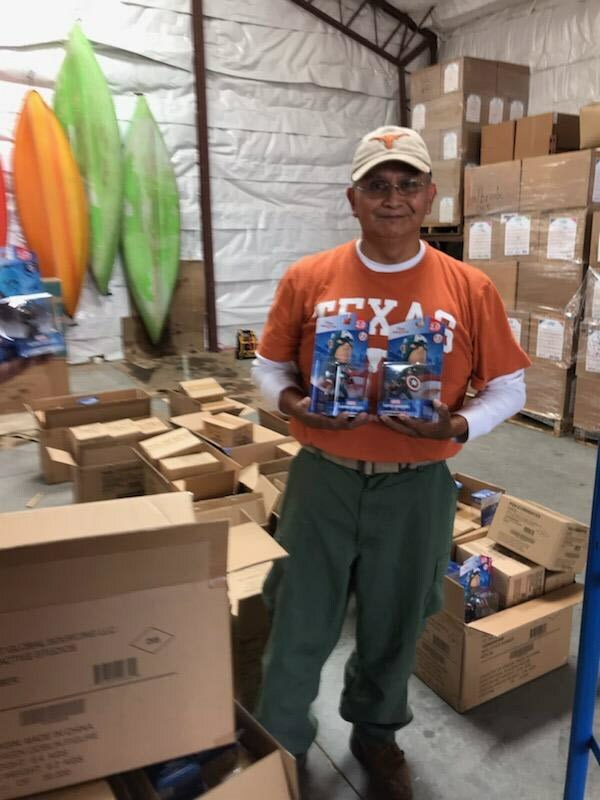 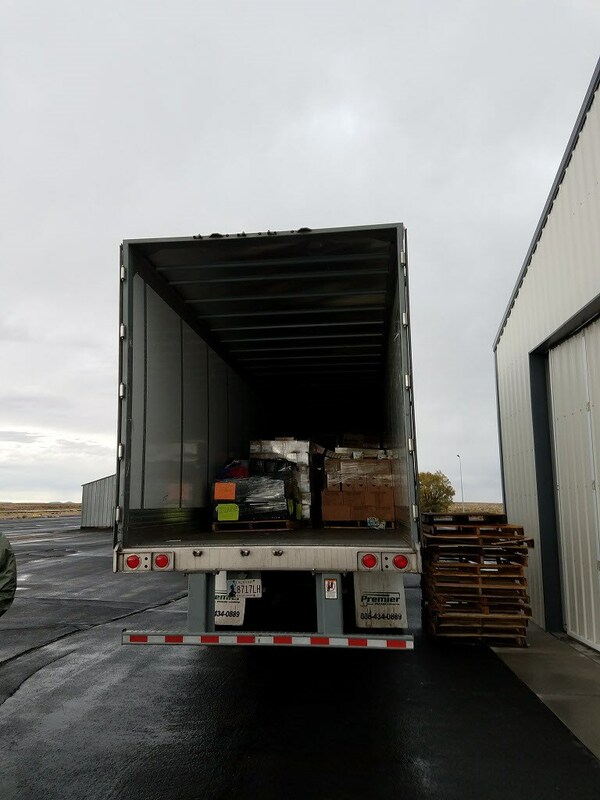 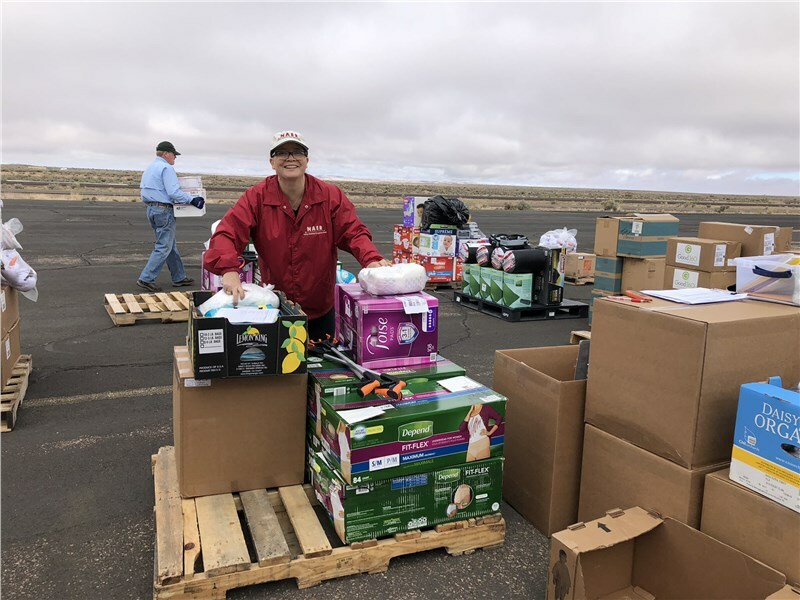 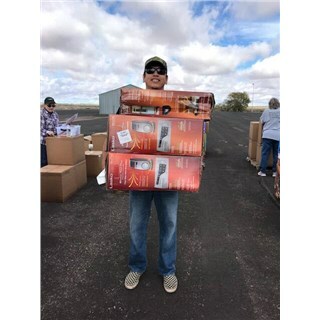 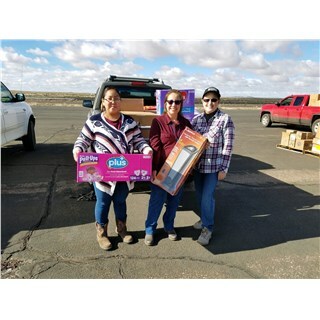 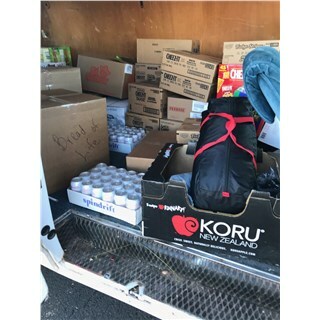 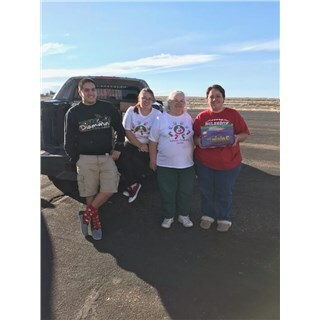 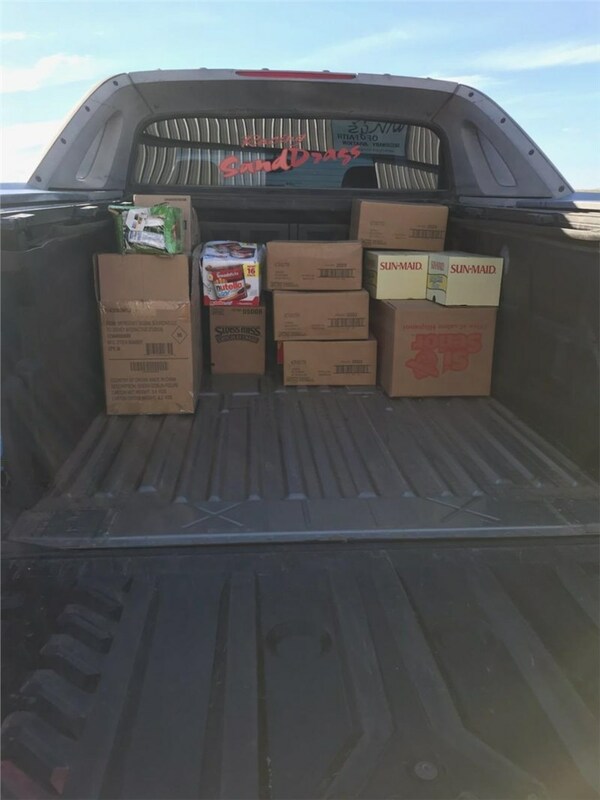 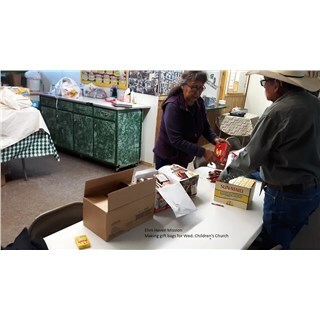 10/24/2018 Native American Christian Academy - Taking large Christmas items. 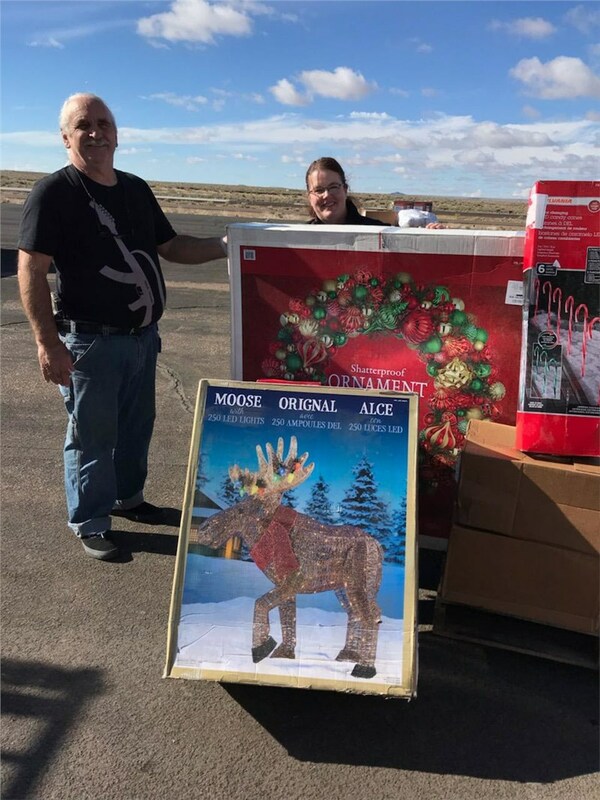 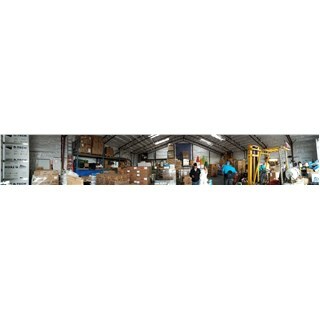 The wreath was the same size as a pallet! 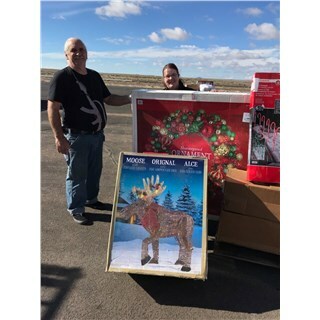 10/26/18 Carol from Snowflake Church of Christ brought a picture of her garden for Randy to see. 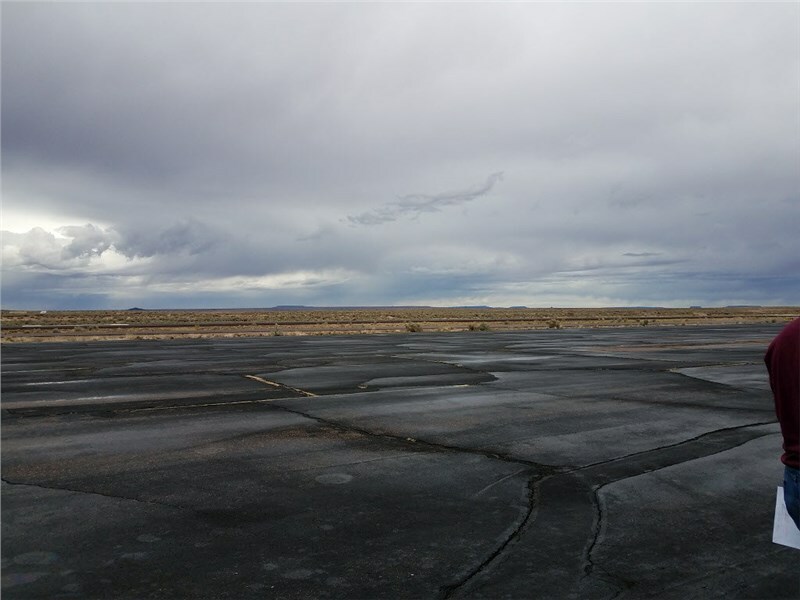 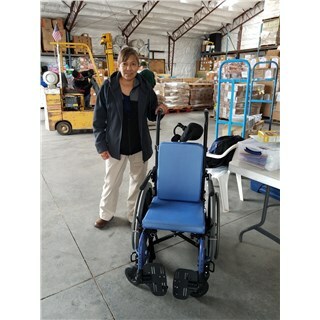 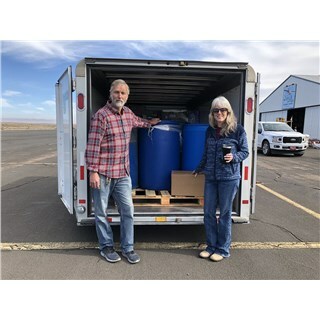 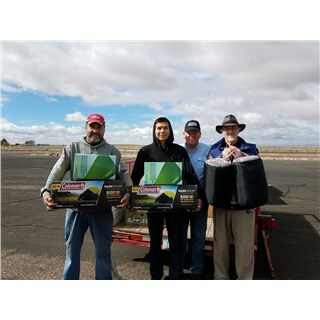 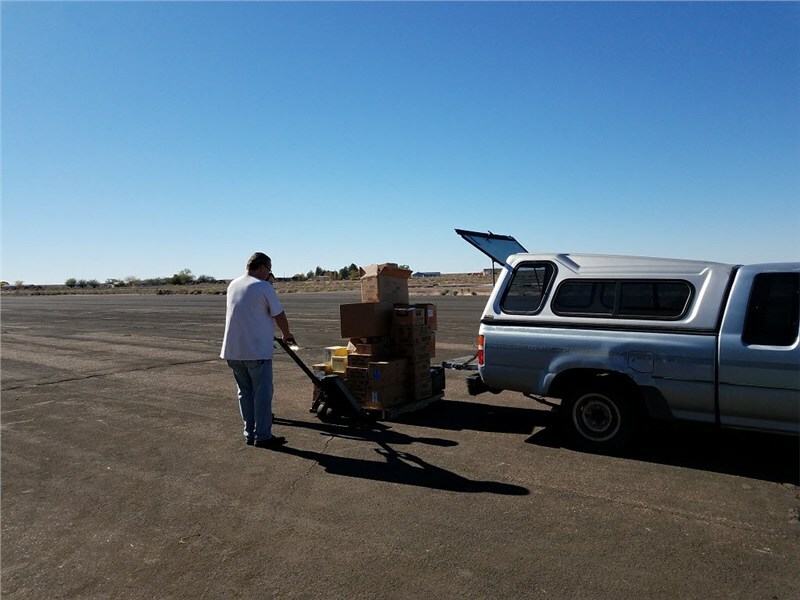 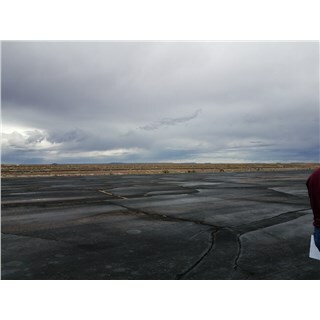 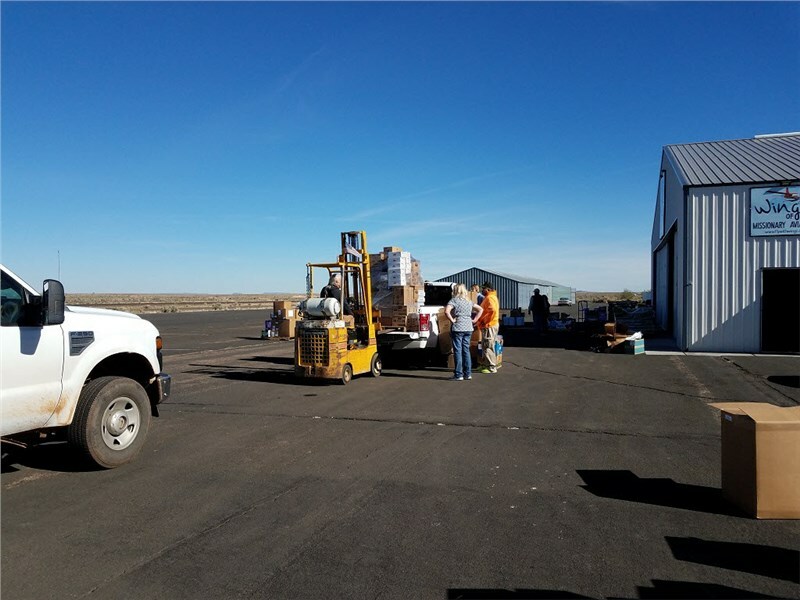 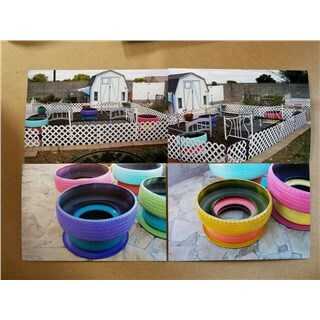 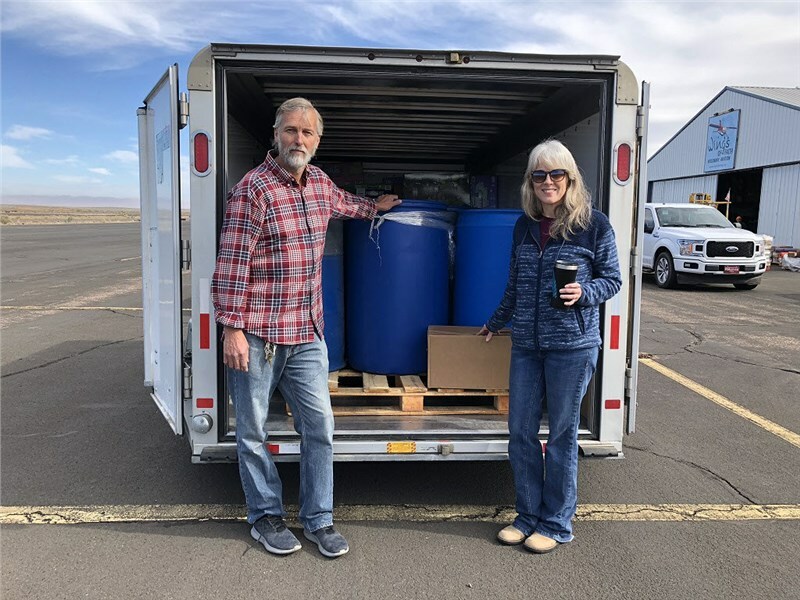 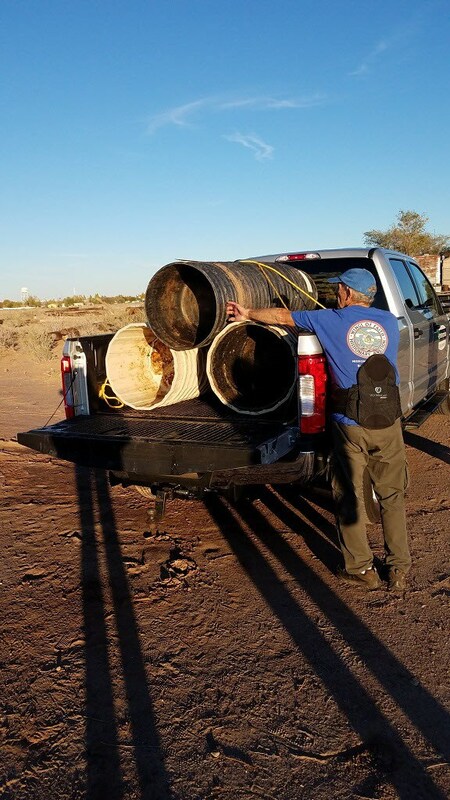 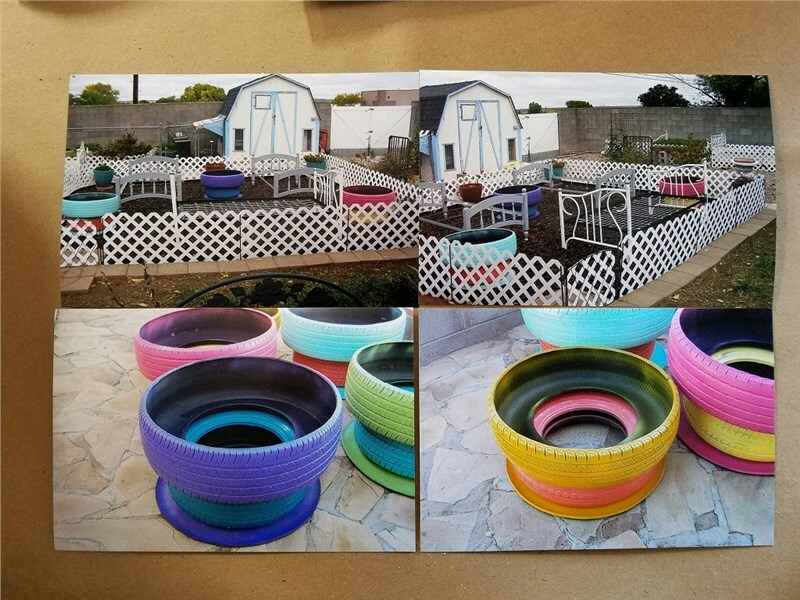 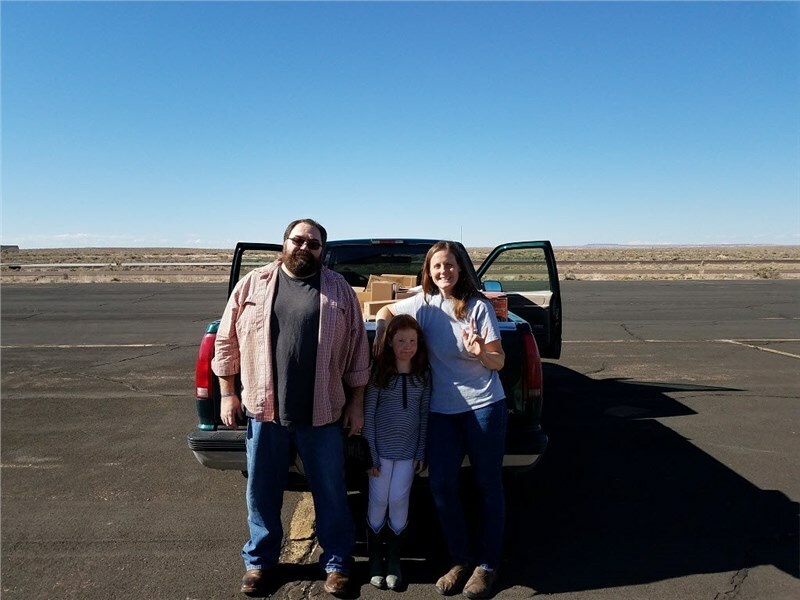 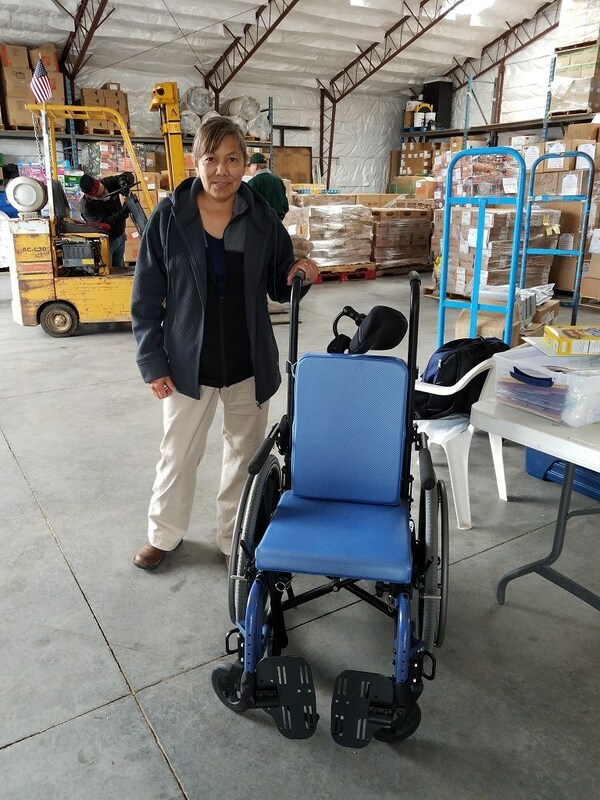 She has painted tires made to look like a pot and then bed frames for her "strawberry beds"
10/26/18 Hanger/Warehouse after event is done - Look we got the plane in there! 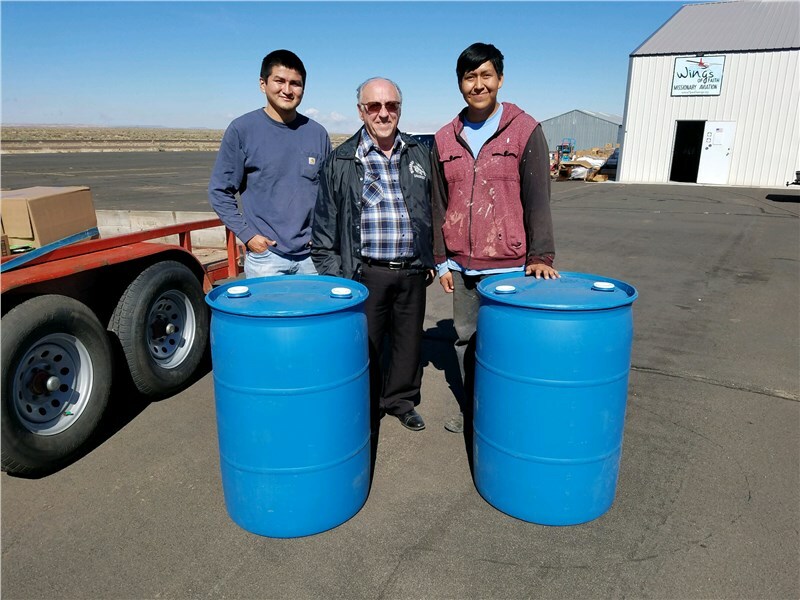 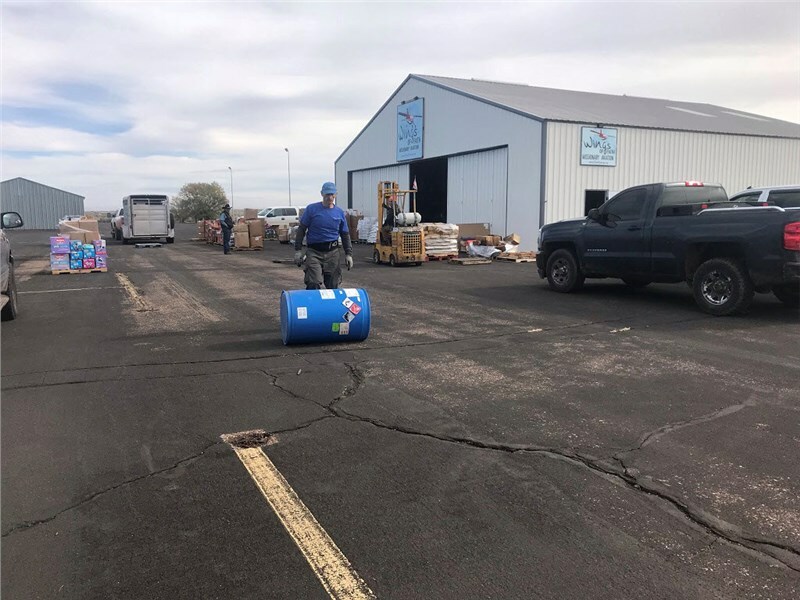 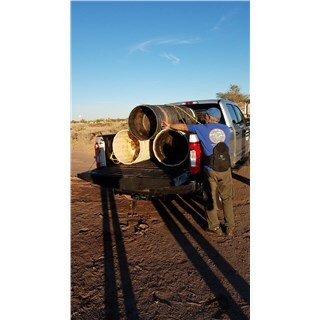 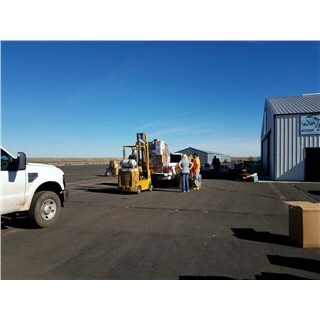 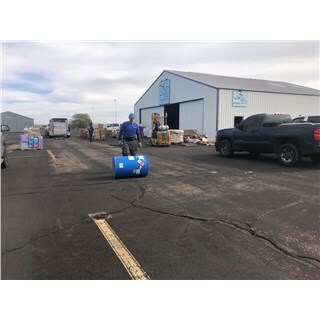 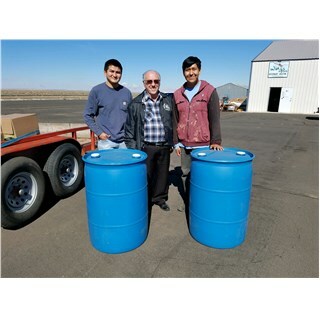 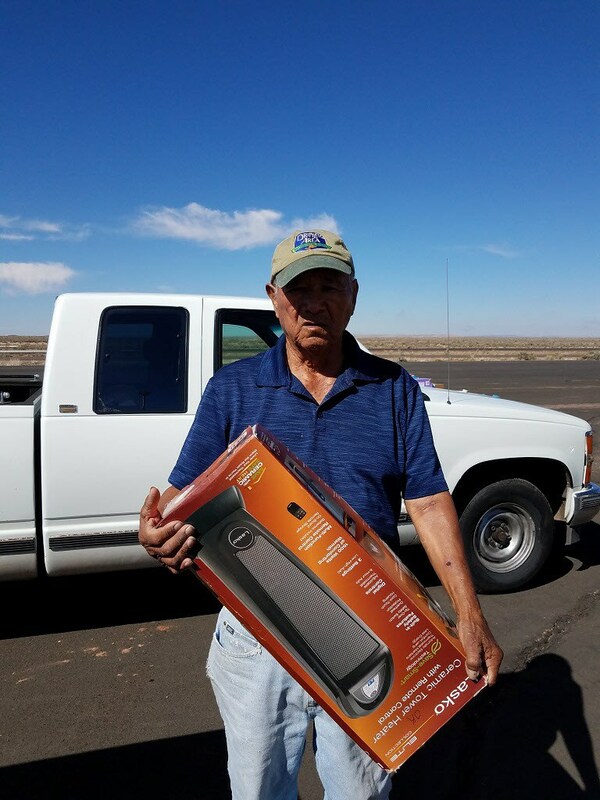 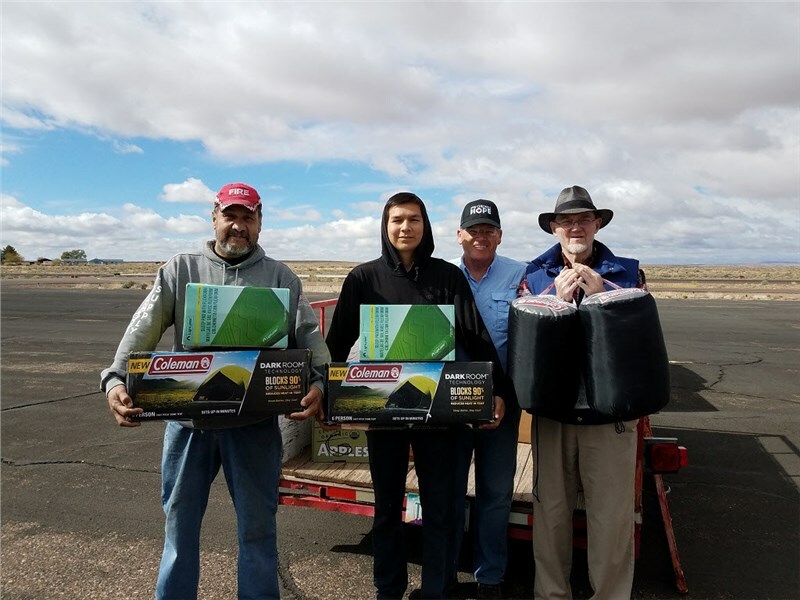 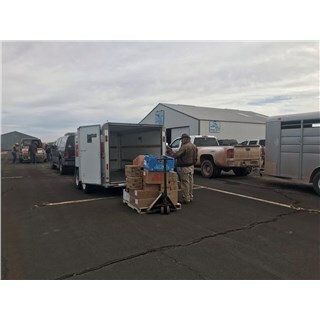 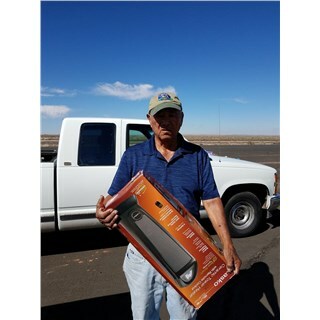 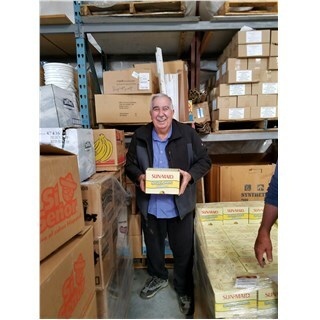 10/26/18 Rancher near by said Randy could have as many of these containers as he wanted. 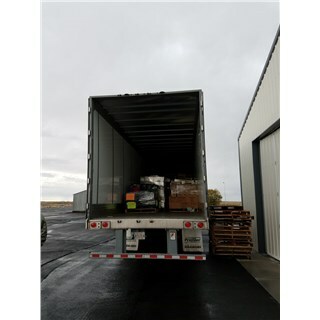 They are food grade and will be used for container gardens.